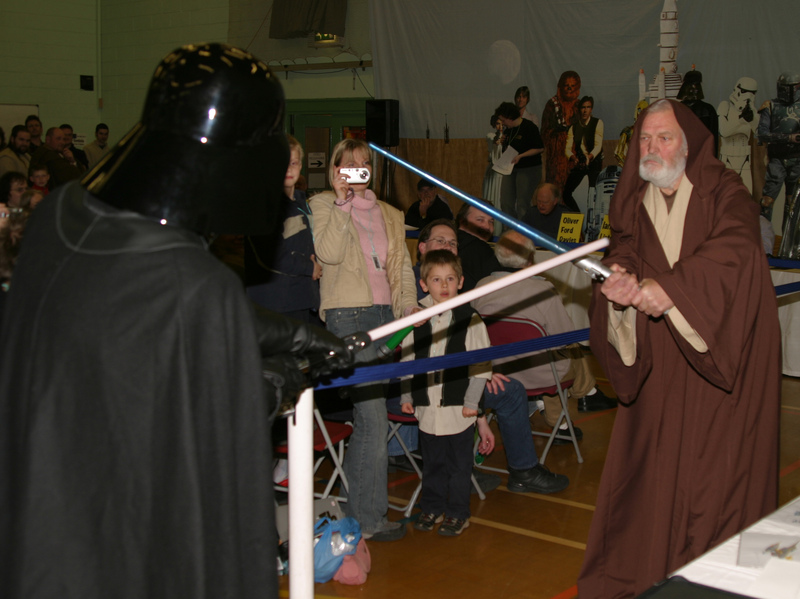 STAR WARS DAY IX in aid of the Cancer Research UK (Charity No.1089464), Sunday, 13th March 2005. 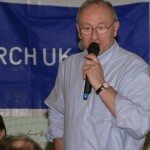 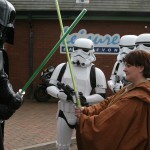 Total Raised for Cancer Research UK: £8,500! 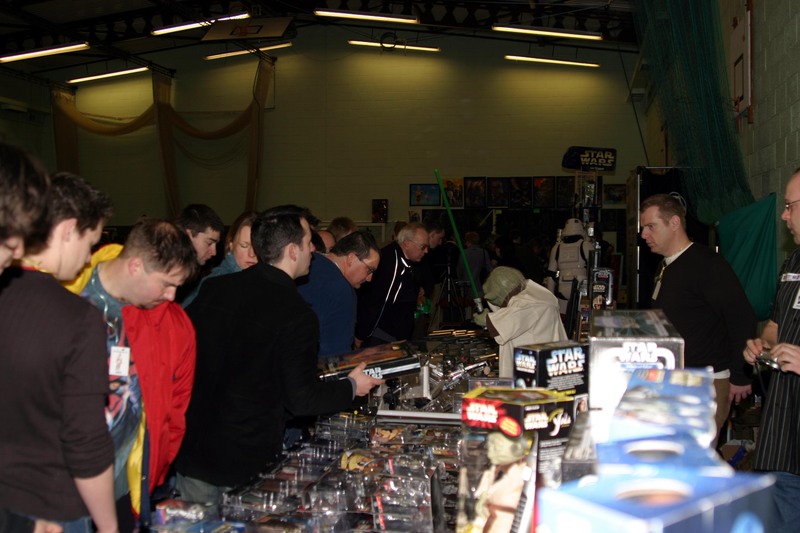 We would like to say a BIG thank you to everyone for making SWD9 the best ever. 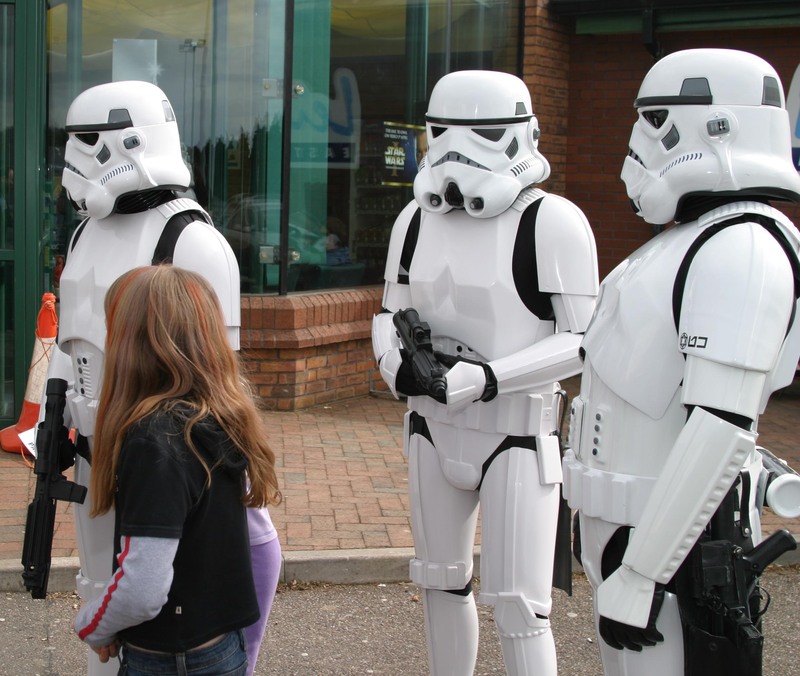 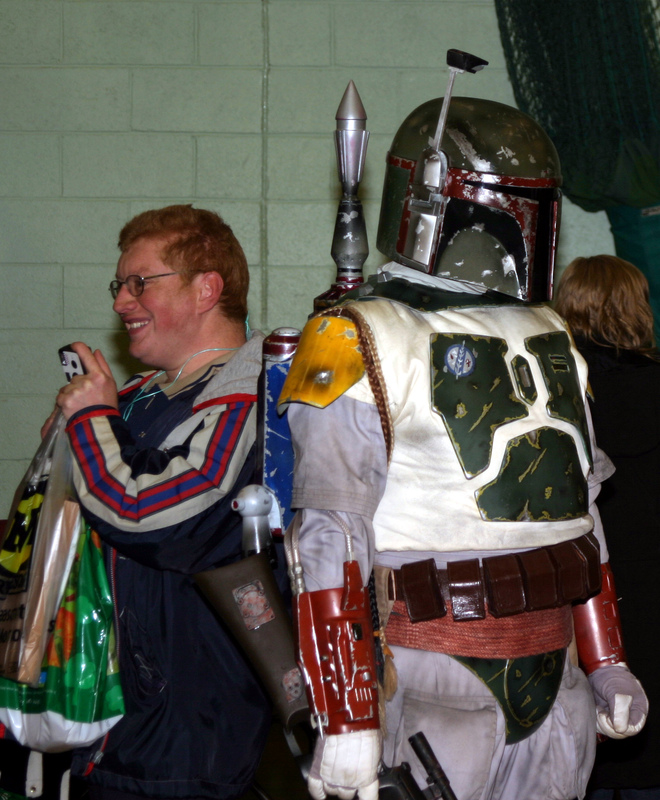 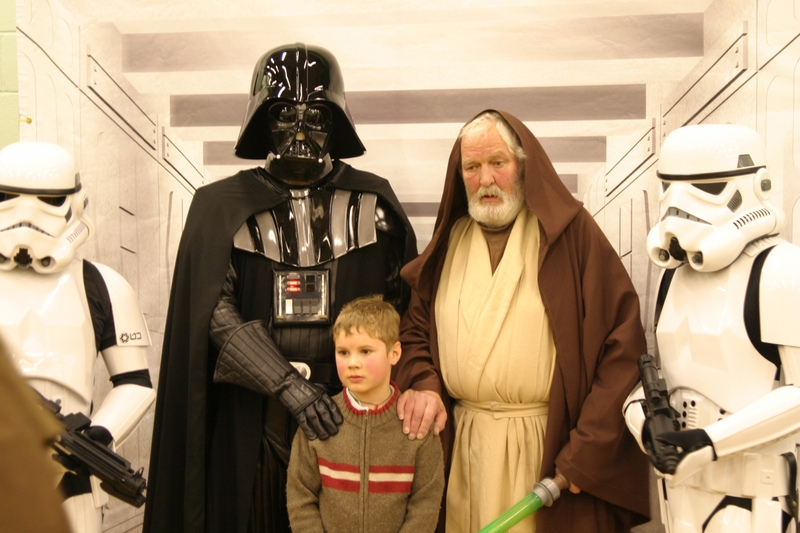 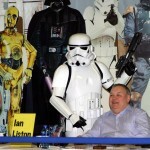 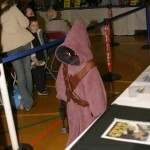 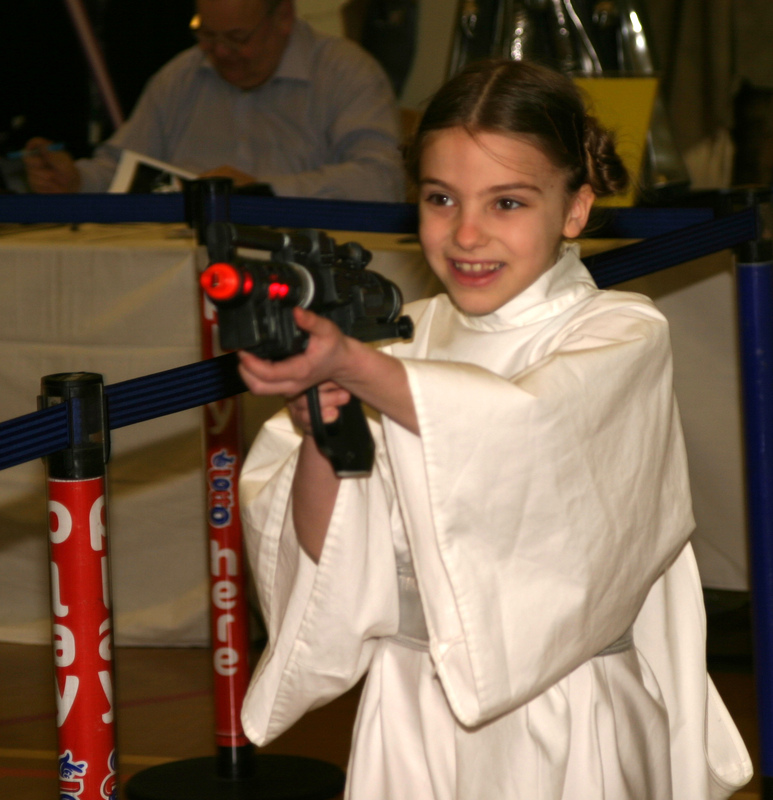 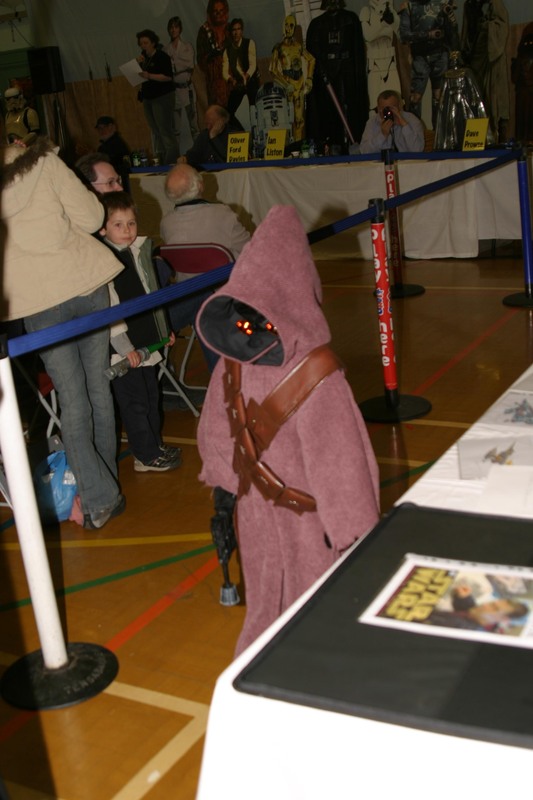 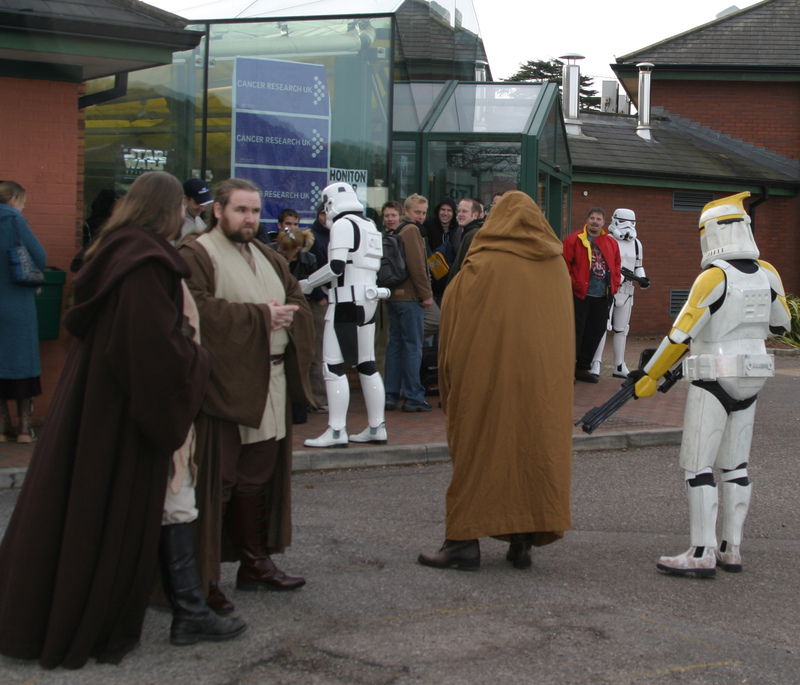 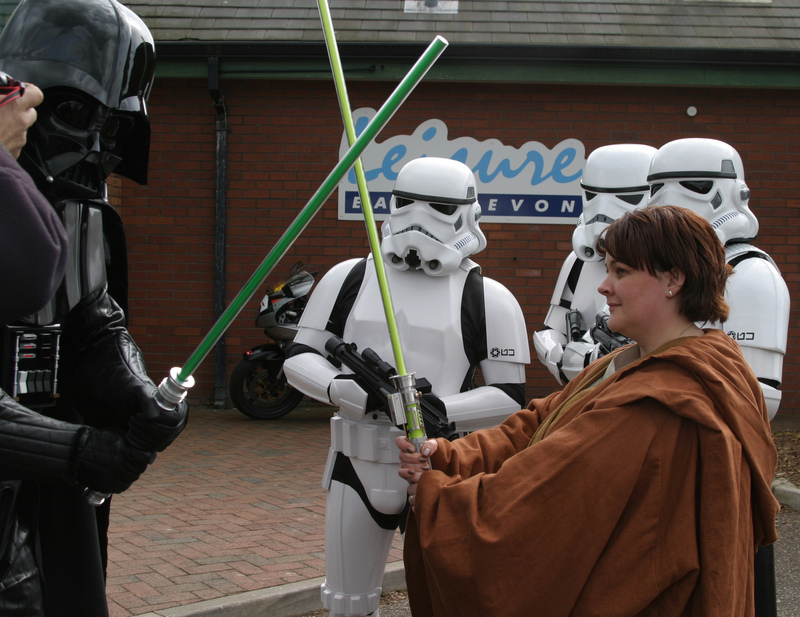 The Force was with the Exe-Wing Fundraisers once again as Star Wars Day IX proved to be the biggest and best event in the 9-year history of the East Devon Star Wars convention. 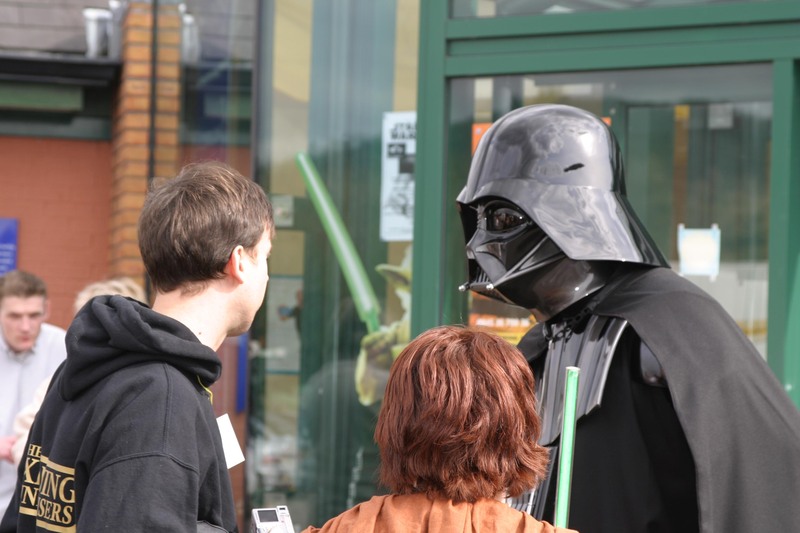 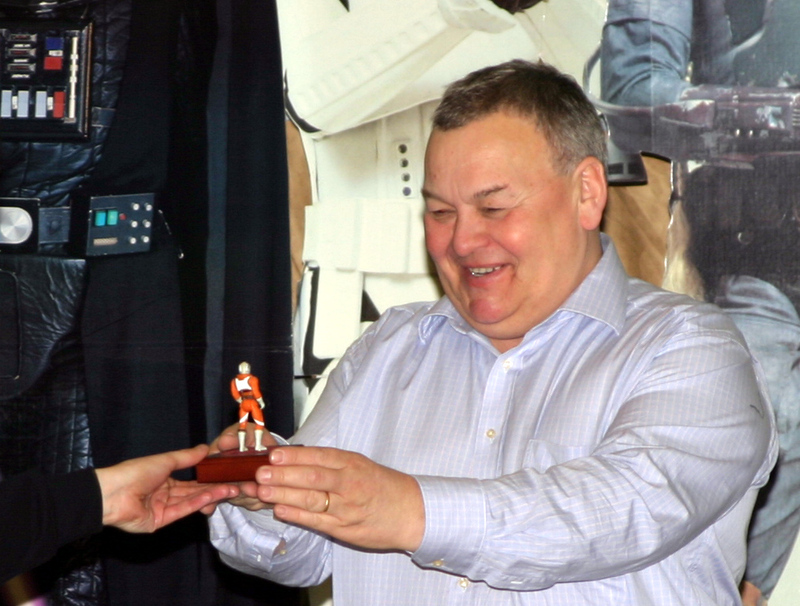 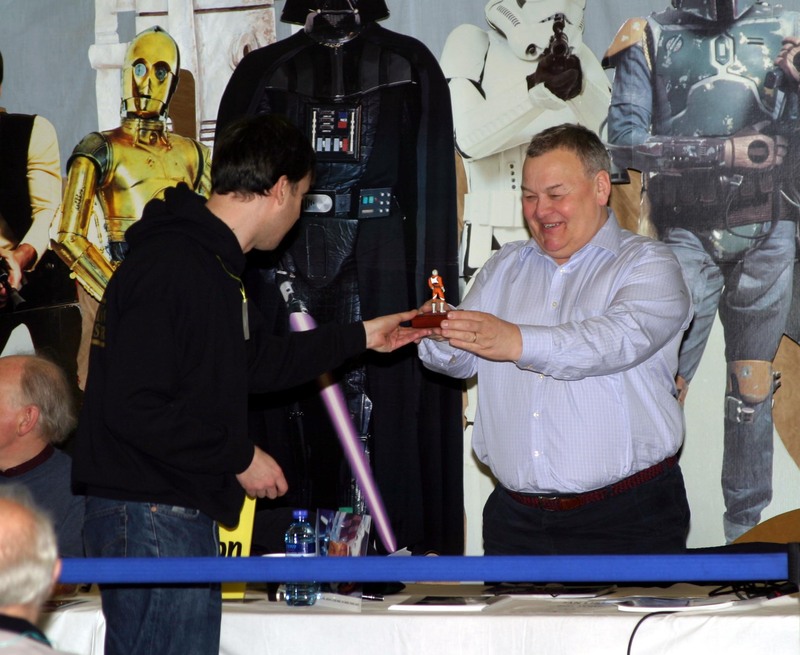 Attended by more than 500 members of the public, the event brought together star names, fans, collectors, dealers, costumers, gamers and more, all united in their love for the movie saga set in a galaxy far, far away. 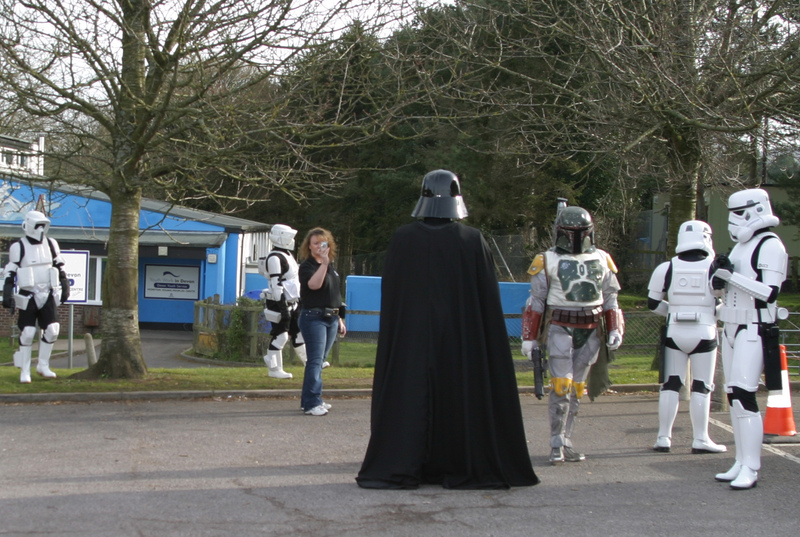 Of course, the day was in aid of a very good cause as well, raising money for this years nominated charity, Cancer Research UK. 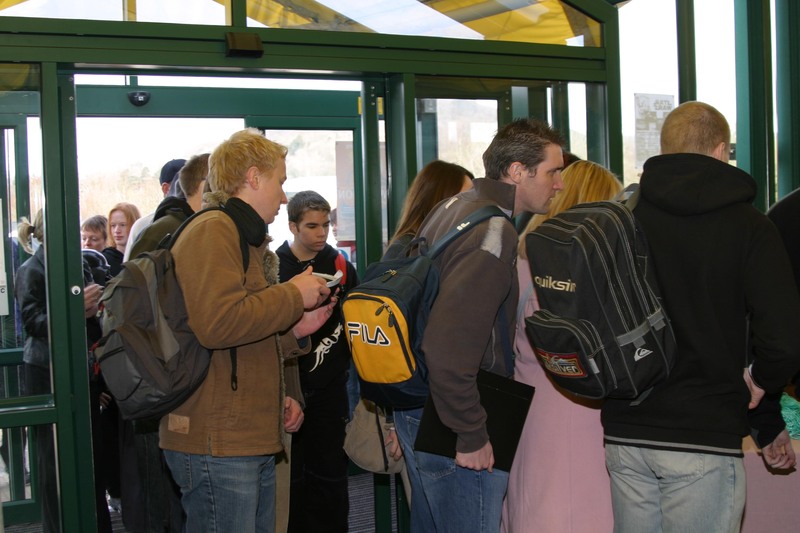 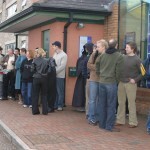 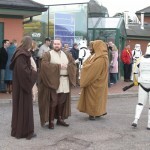 The event was once again blessed with blue skies overhead as the first attendees started queuing at the entrance doors. 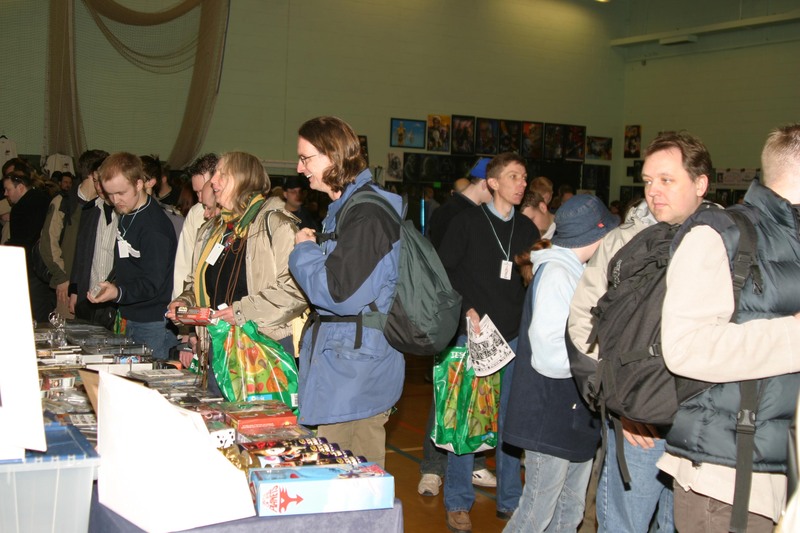 Inside was a scene of frantic activity, as the committee and stewards raced to set up the halls and display rooms, and the dealers and exhibitors unpacked their wares. 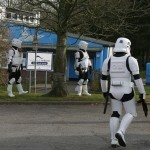 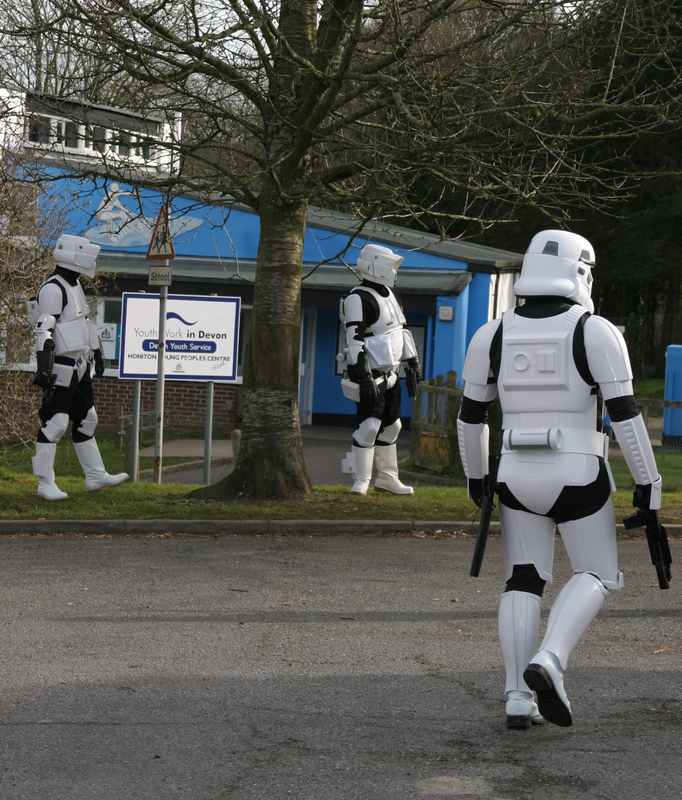 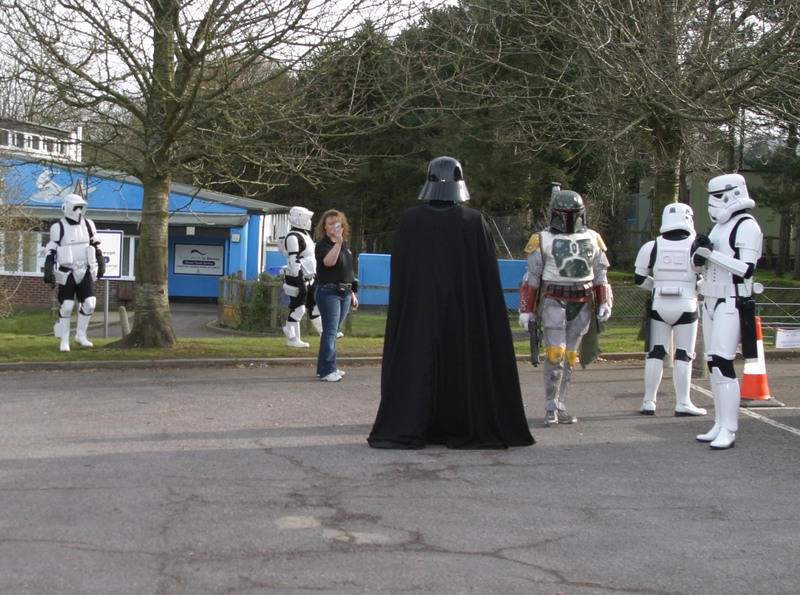 In the car park, attendees were met by the Stormtroopers of the UK Garrison, keeping order, maintaining the peace, and enquiring whether anyone had seen the droids they were looking for. 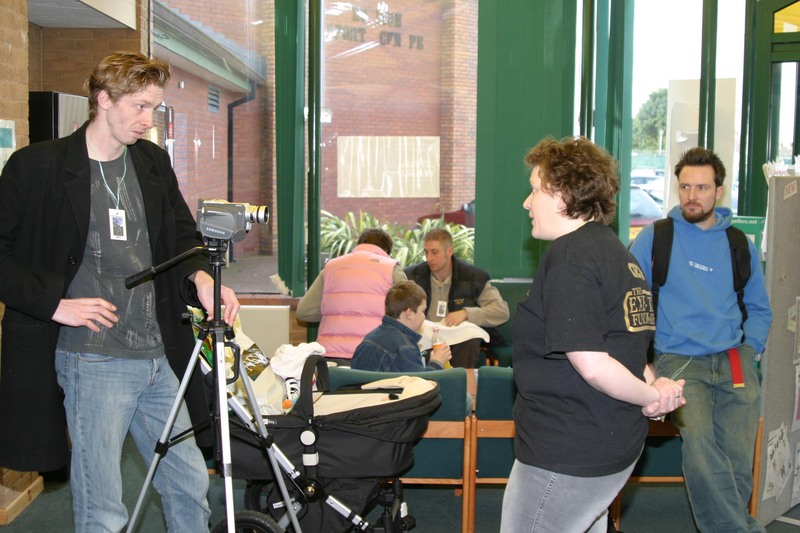 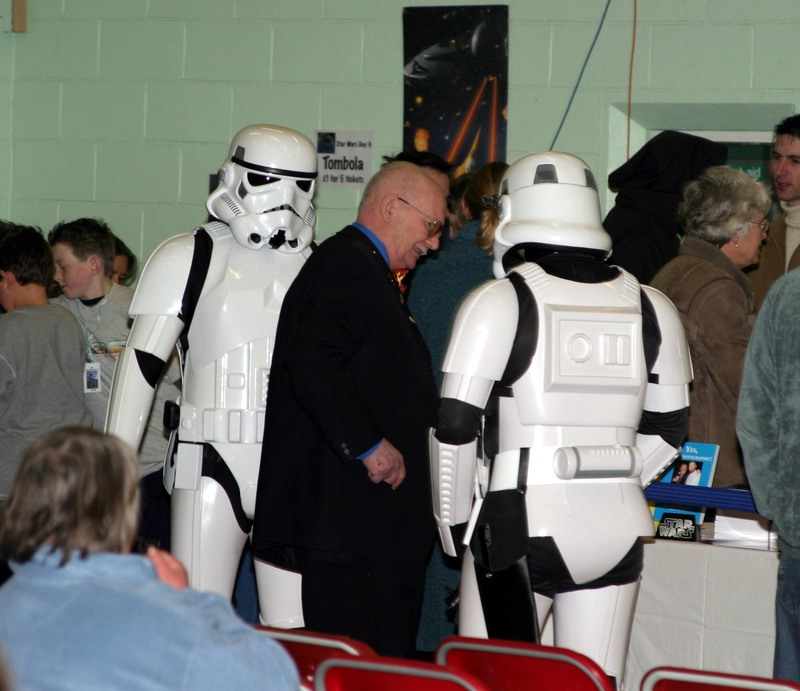 As the setting up inside the halls was nearing completion, the special guests started to arrive, led by Exe-Wing Fundraisers president Michael Sheard. 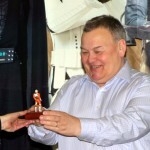 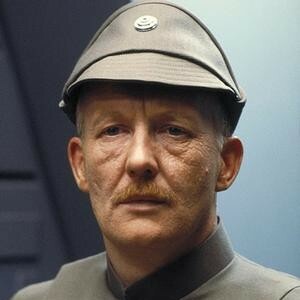 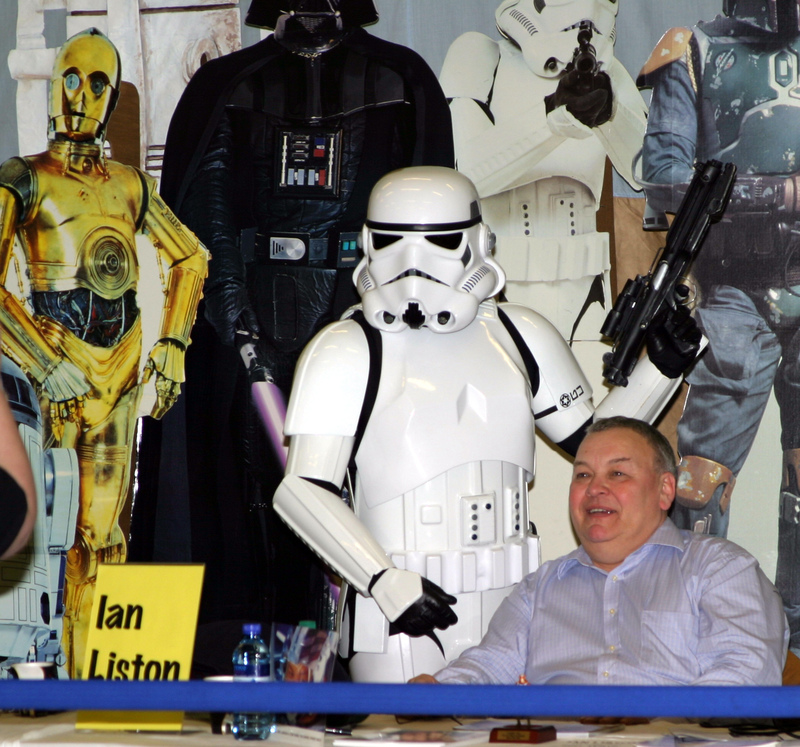 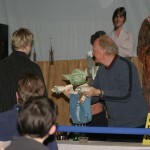 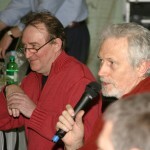 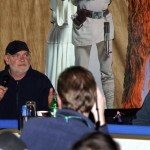 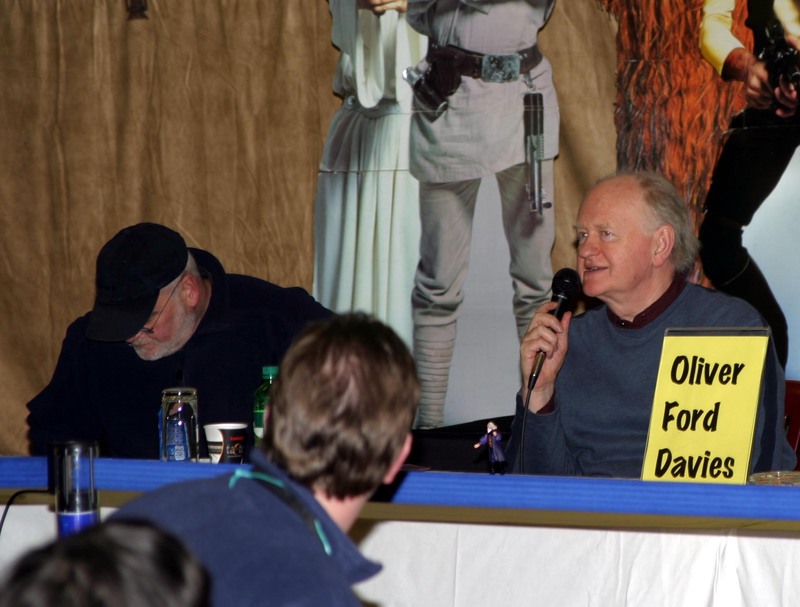 Michael was joined by his ‘The Empire Strikes Back’ co-star Ian Liston, and from ‘A New Hope’, Angus MacInnes. 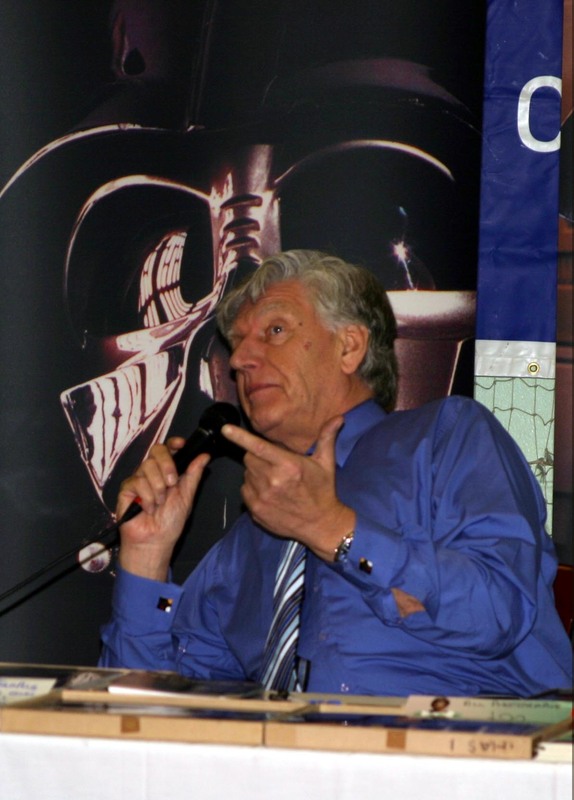 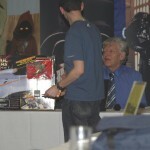 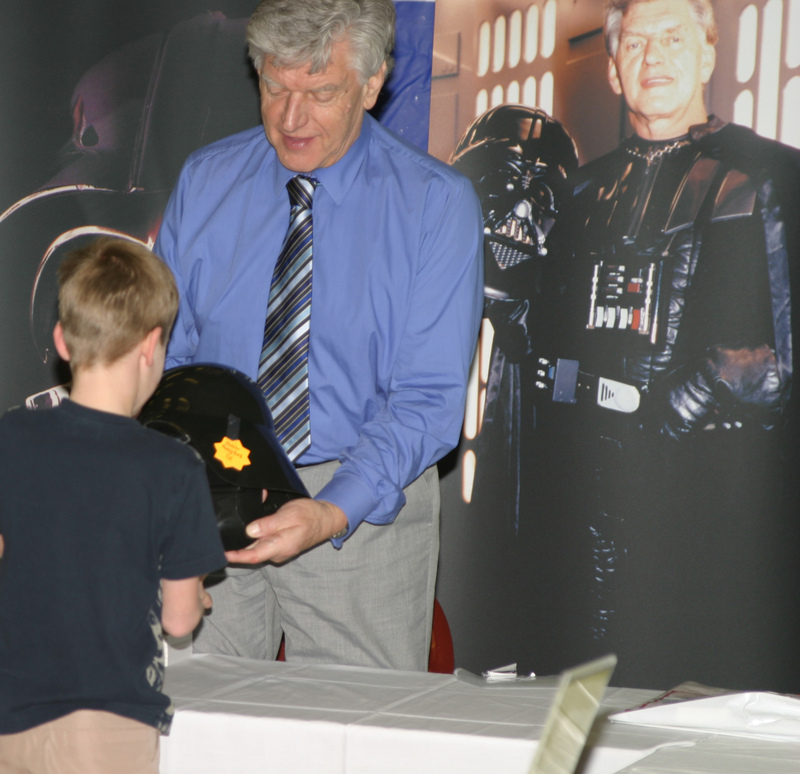 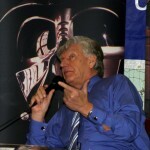 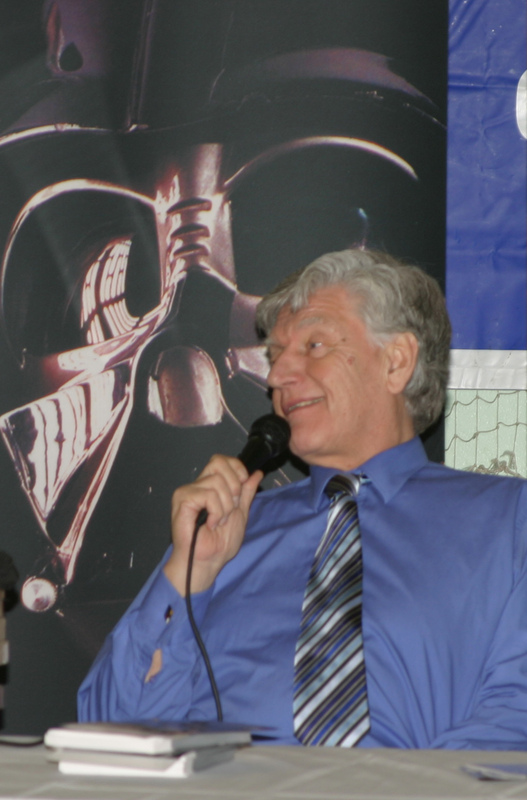 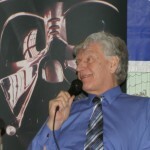 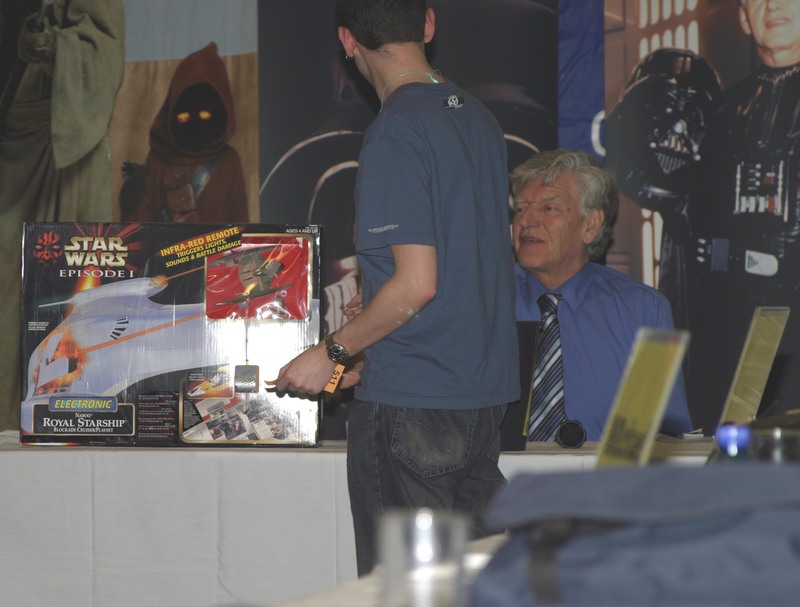 Rounding off the original trilogy guests were ‘Return Of The Jedi’ actors Gerald Home, Michael Carter and Dermot Crowley, and the Dark Lord of the Sith himself, Dave Prowse. 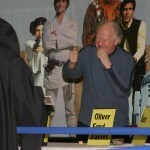 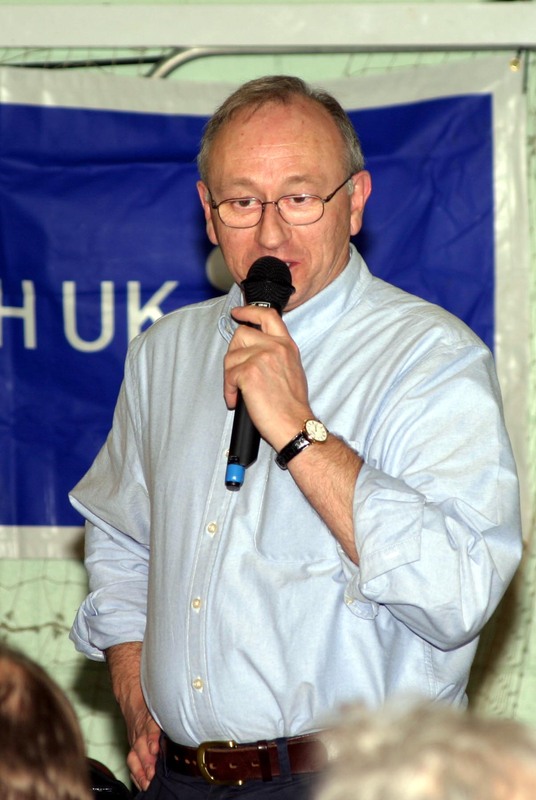 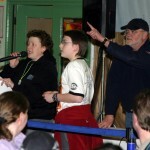 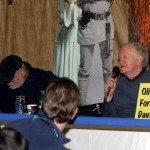 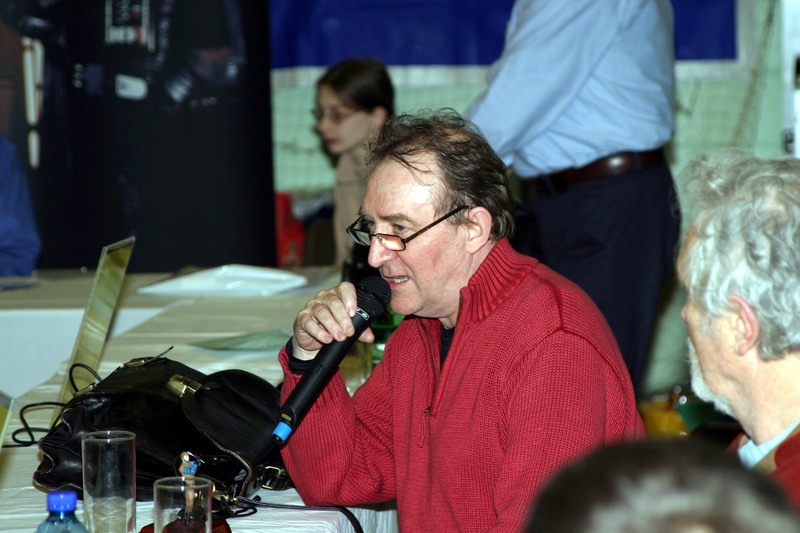 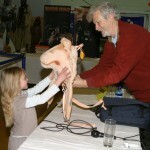 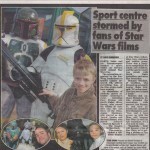 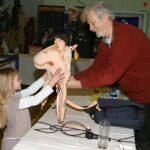 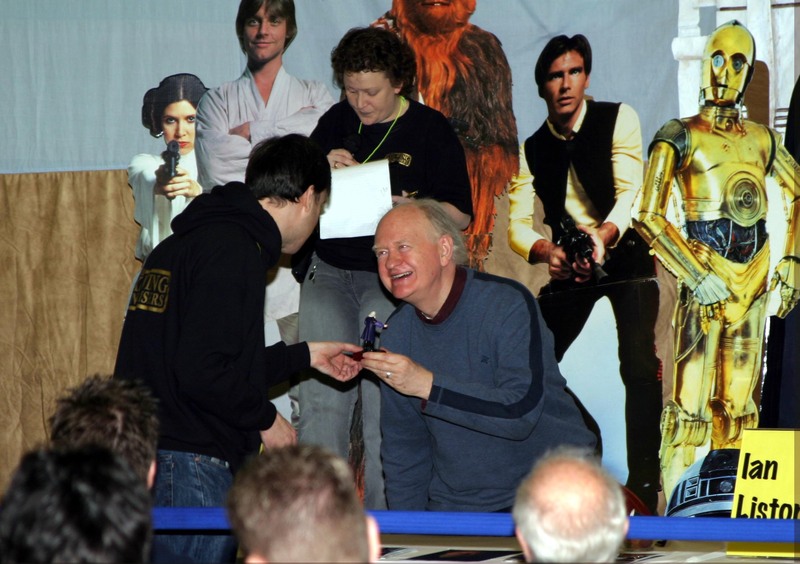 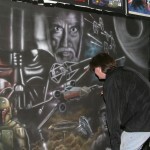 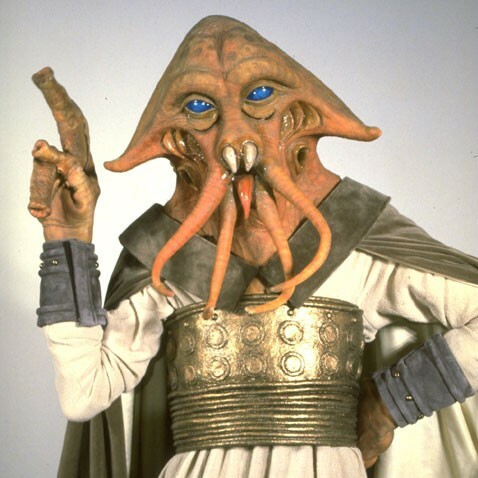 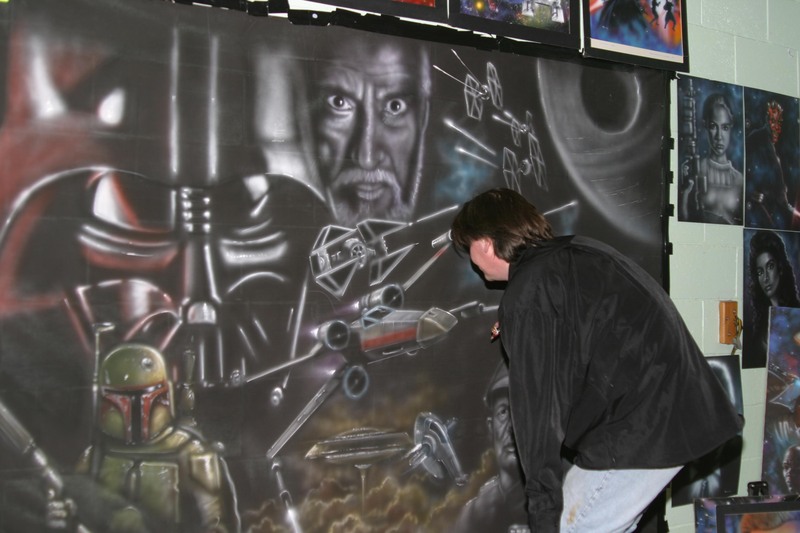 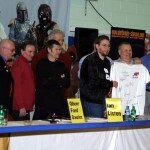 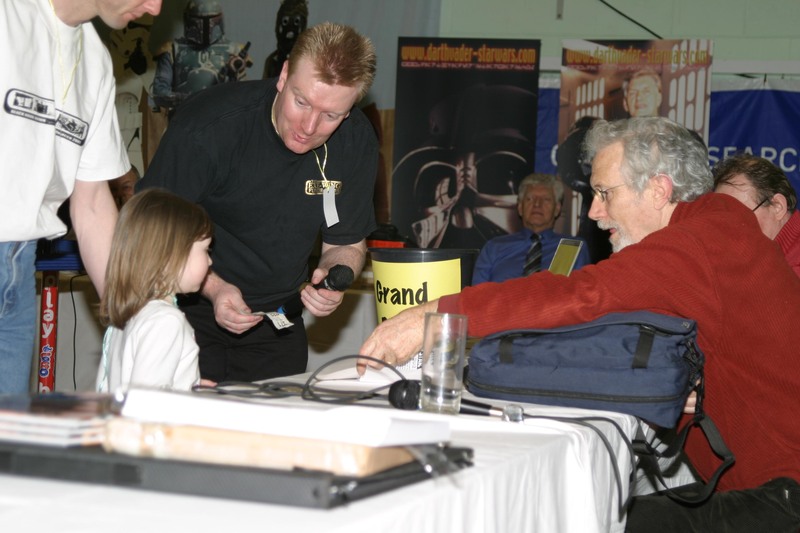 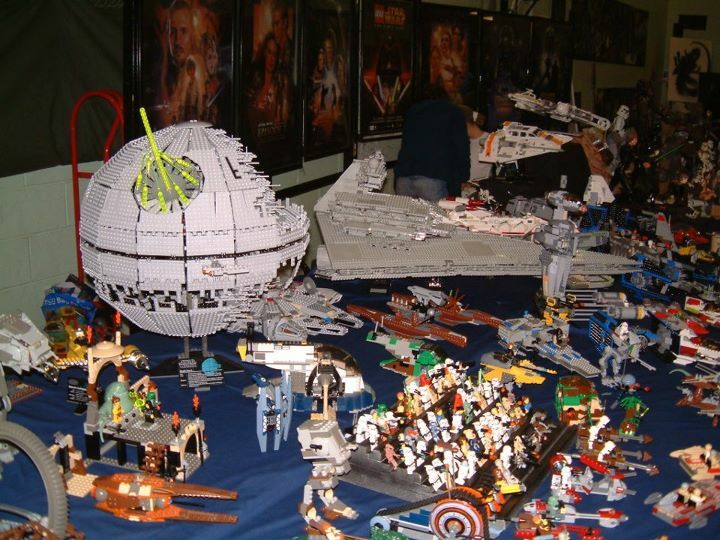 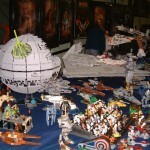 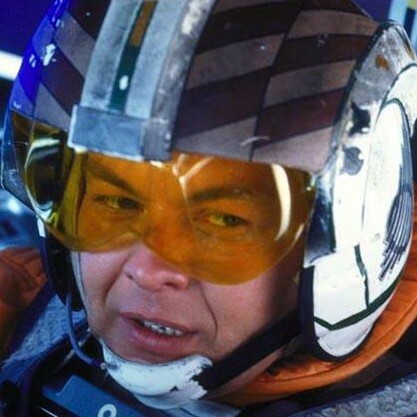 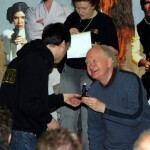 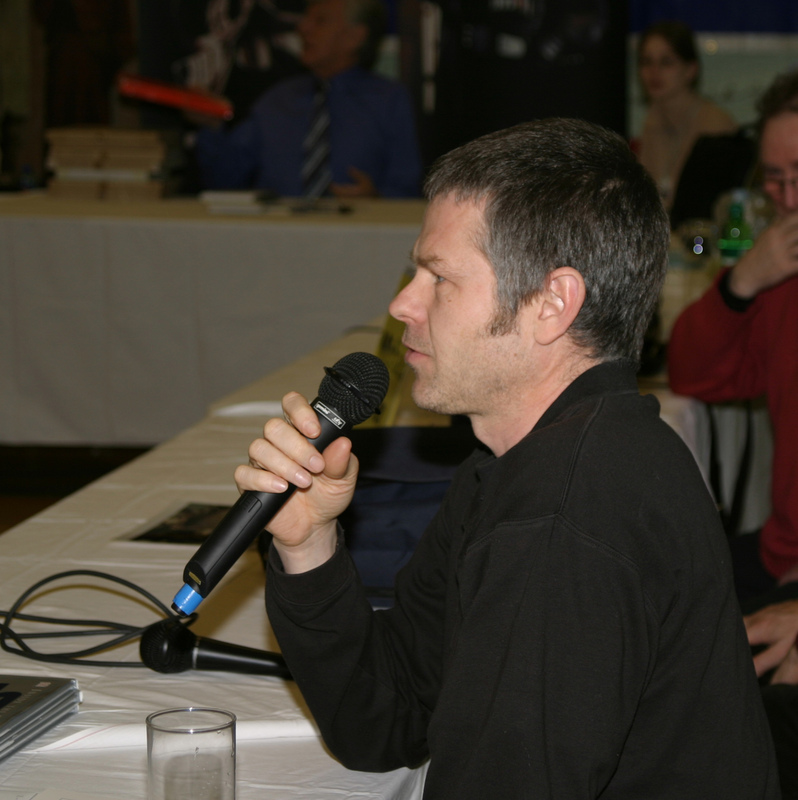 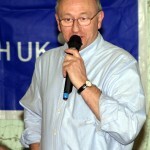 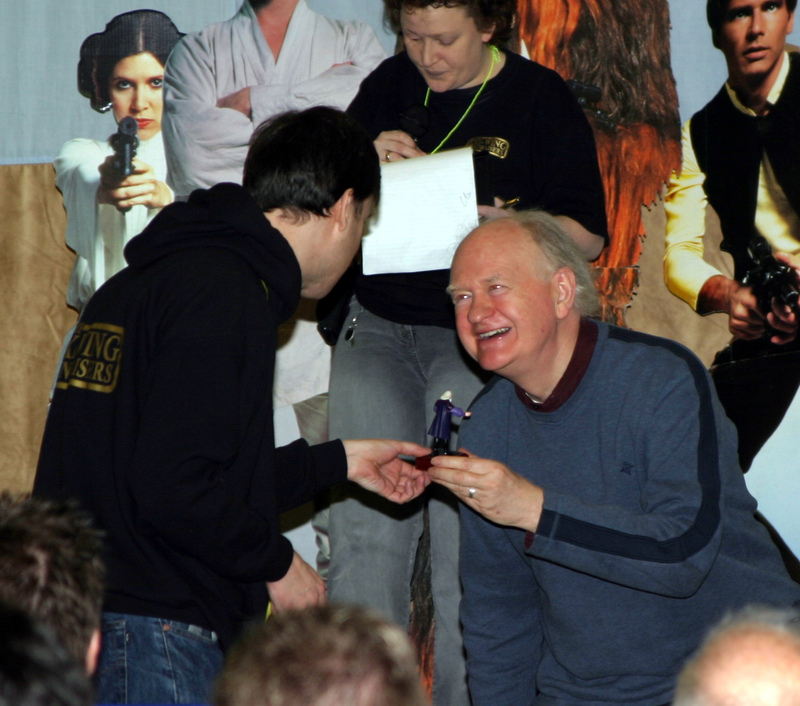 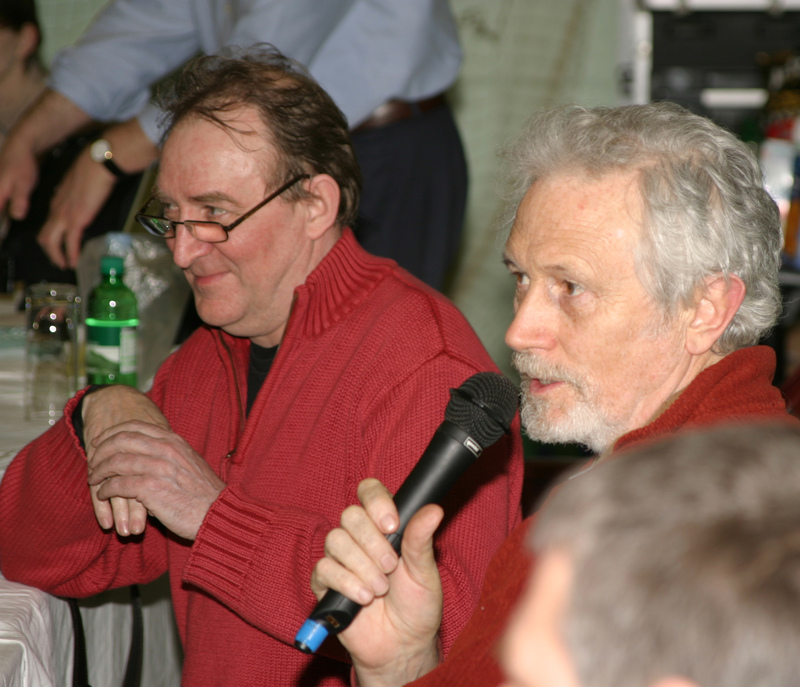 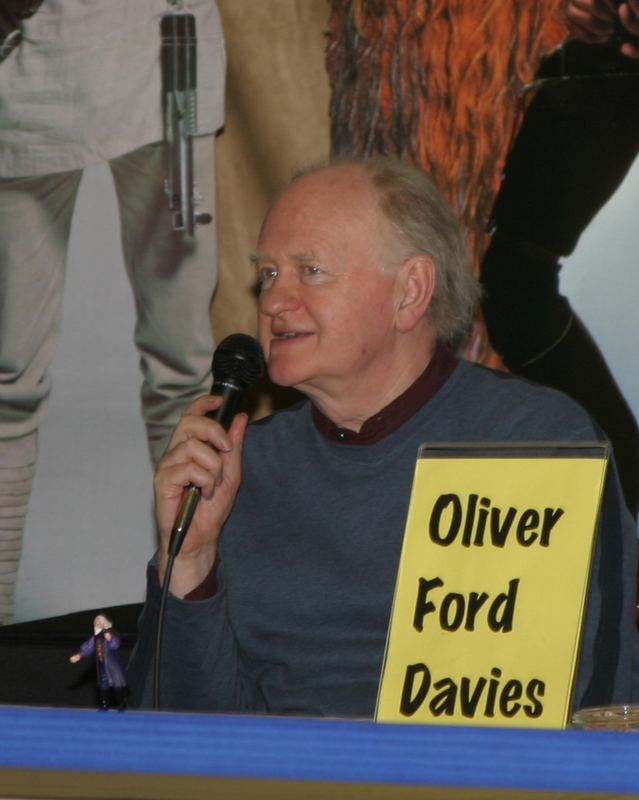 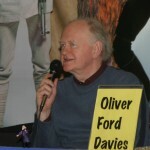 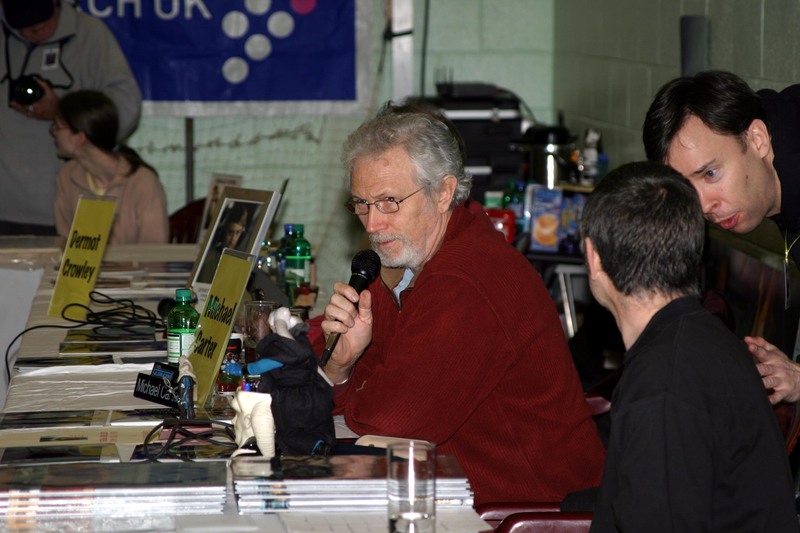 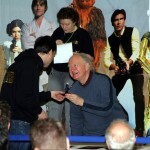 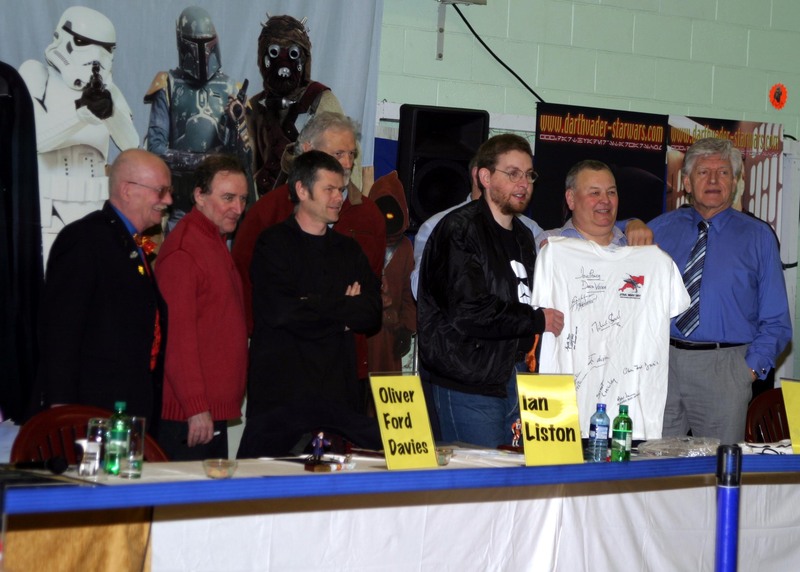 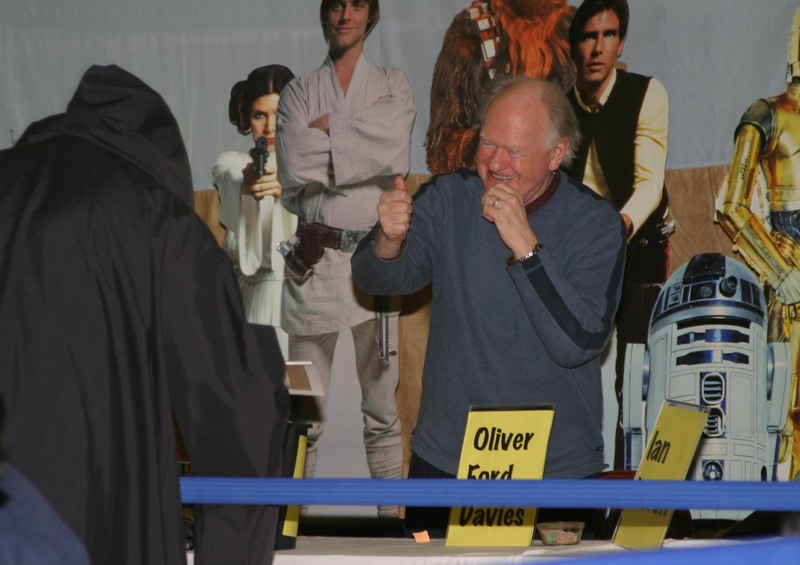 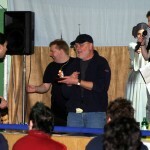 The line up was completed by a world exclusive convention appearance by Oliver Ford Davies, who plays Sio Bibble in the prequel trilogy, and by renowned Dorling Kindersley artist Hans Jenssen. 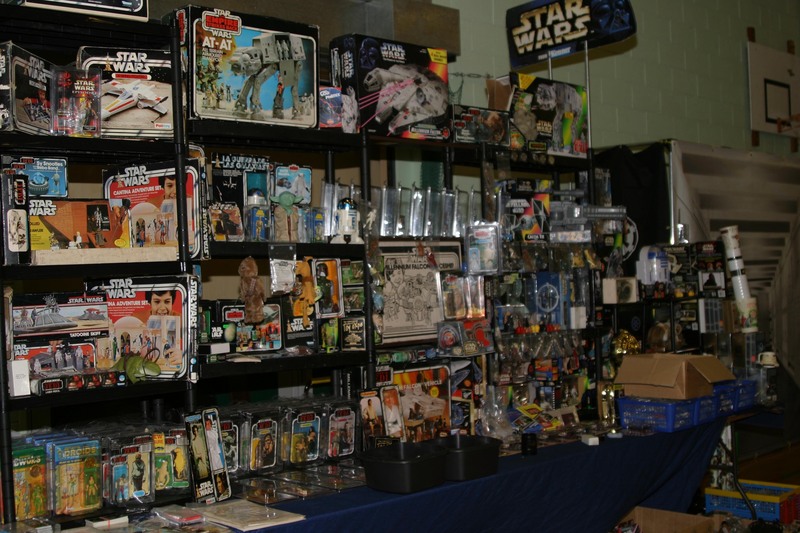 The event started on time at 10am, with the early attendees having time to browse the vast array of collectibles old and new on the dealer tables before the Opening Ceremony. 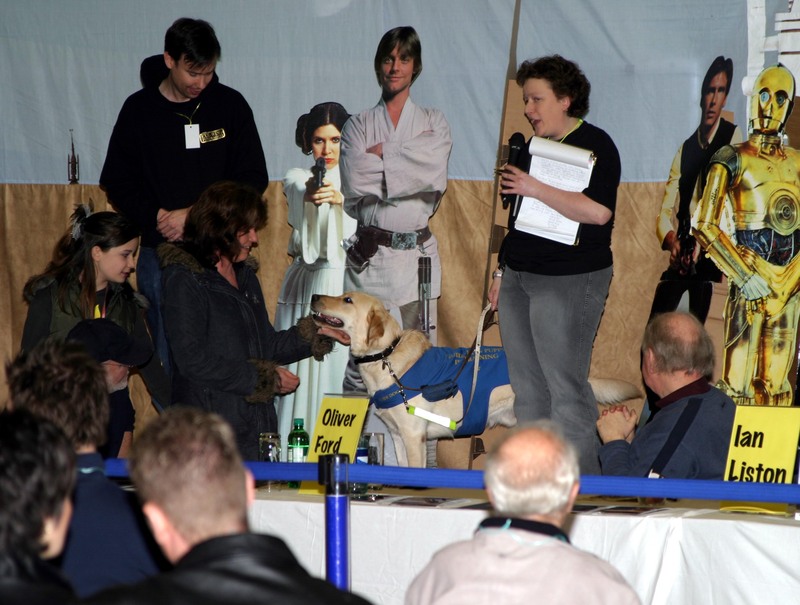 The guests were welcomed to the event, and a further special guest was brought on stage and introduced to the crowd – Lucas the guide dog, whose training has been entirely funded through the proceeds from last year’s Star Wars Day VIII. 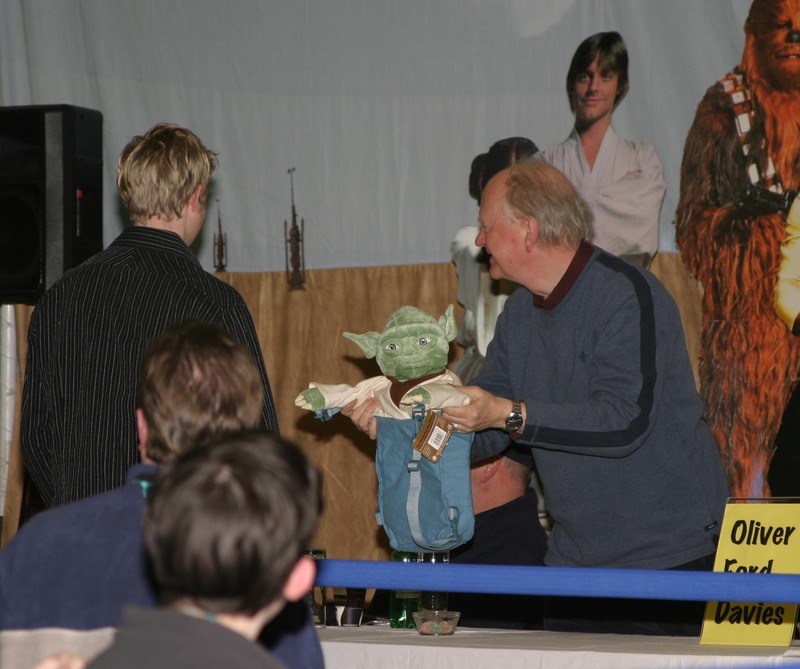 Michael Sheard then led an entertaining ‘Question and Answer’ session with some interesting nuggets of Star Wars trivia being thrown up by some of the guest actors! 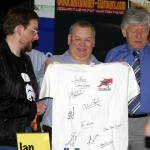 Ian Liston also drew a big round of applause with his impromptu auctioning of an Exe-Wing T-shirt, signed by all the stars, which raised an excellent sum for the charity. 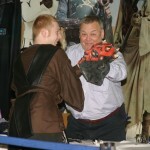 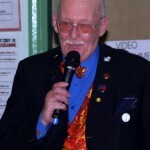 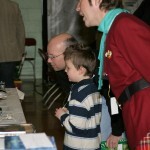 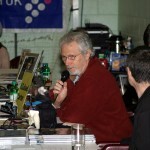 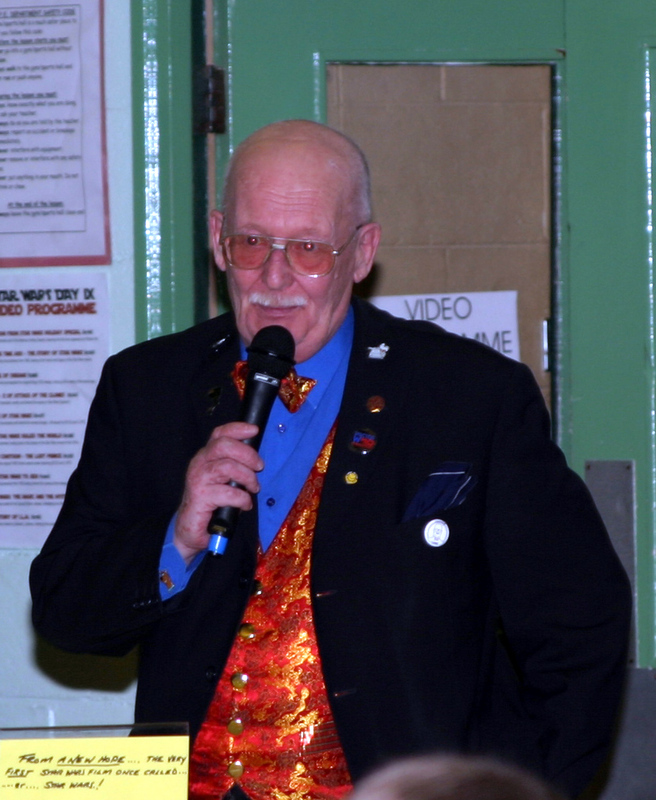 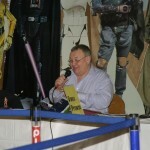 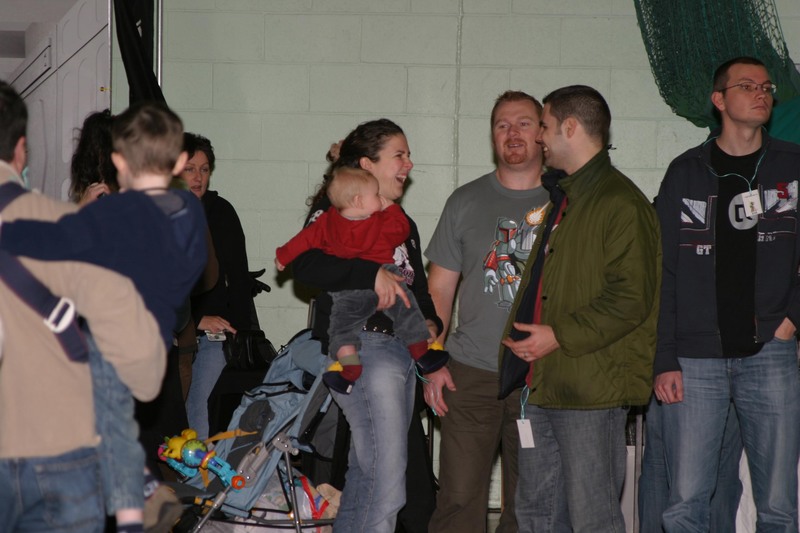 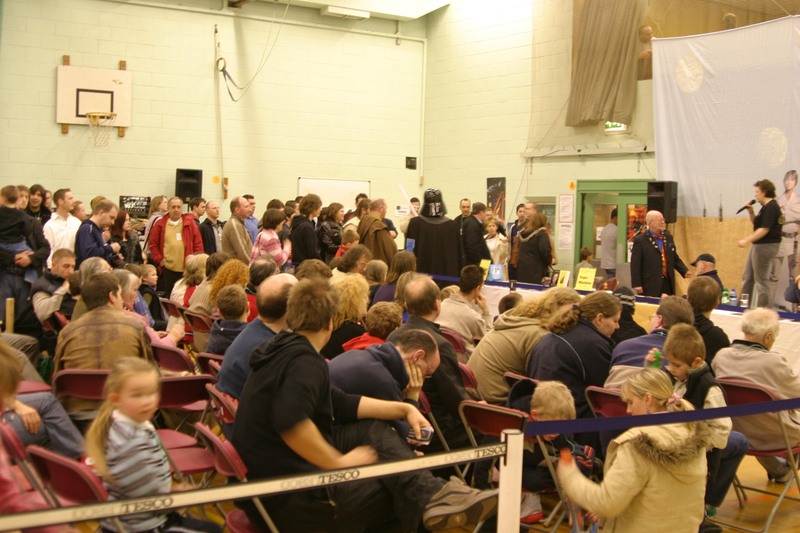 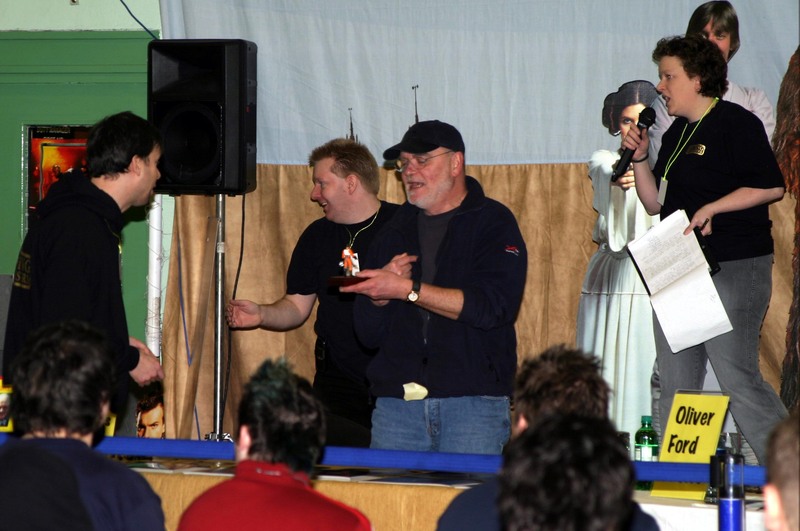 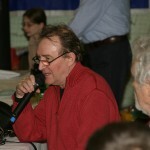 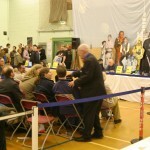 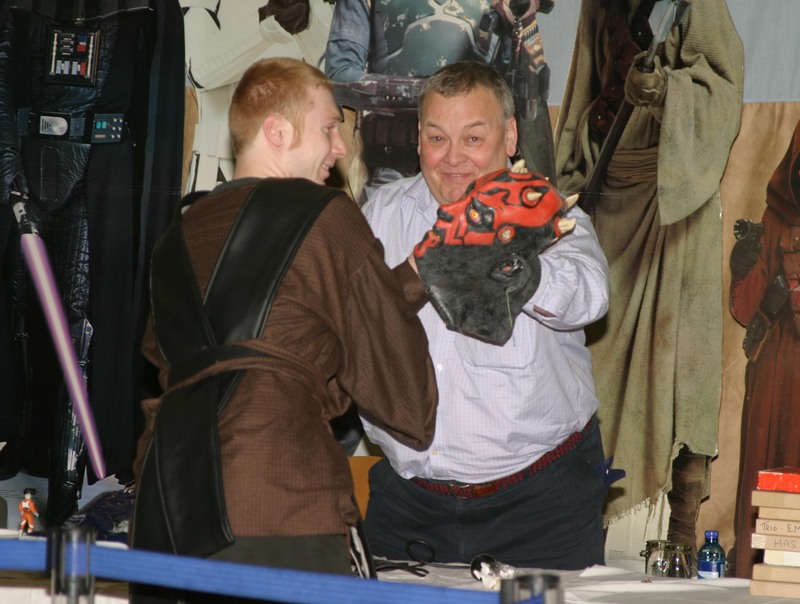 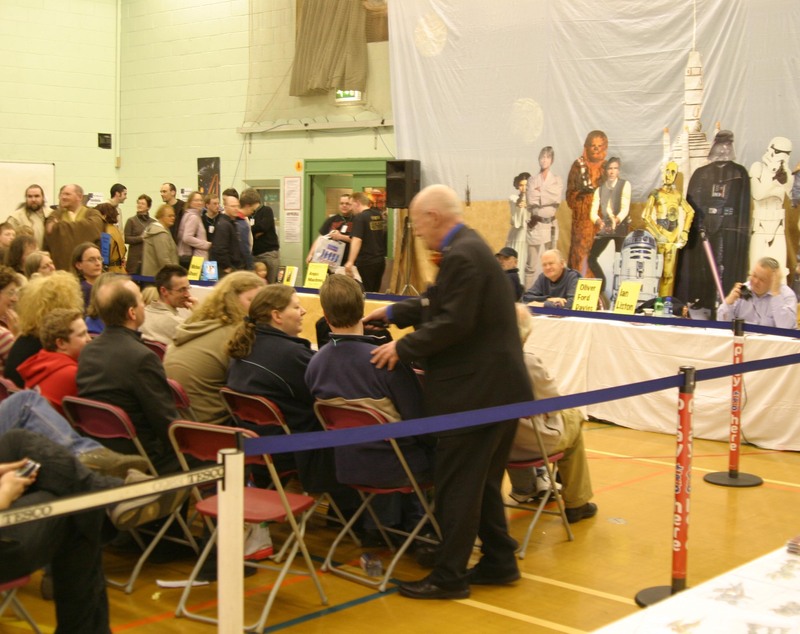 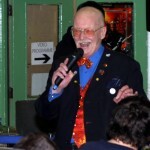 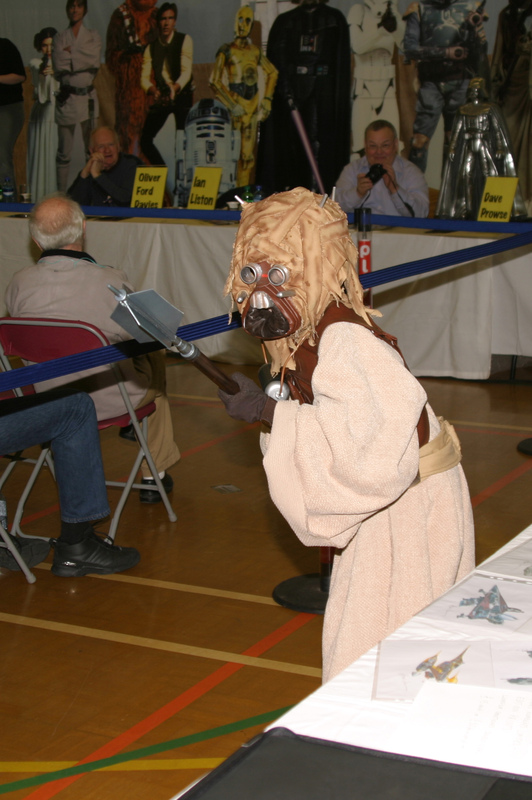 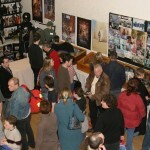 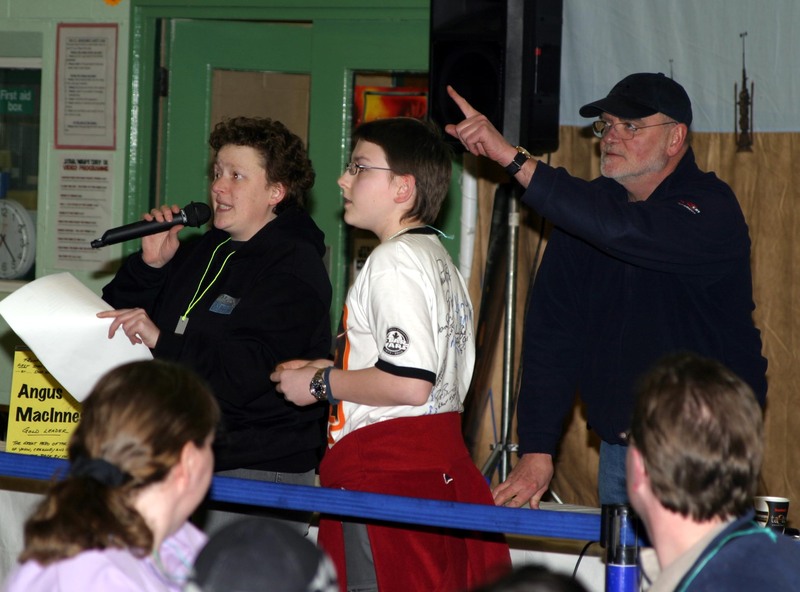 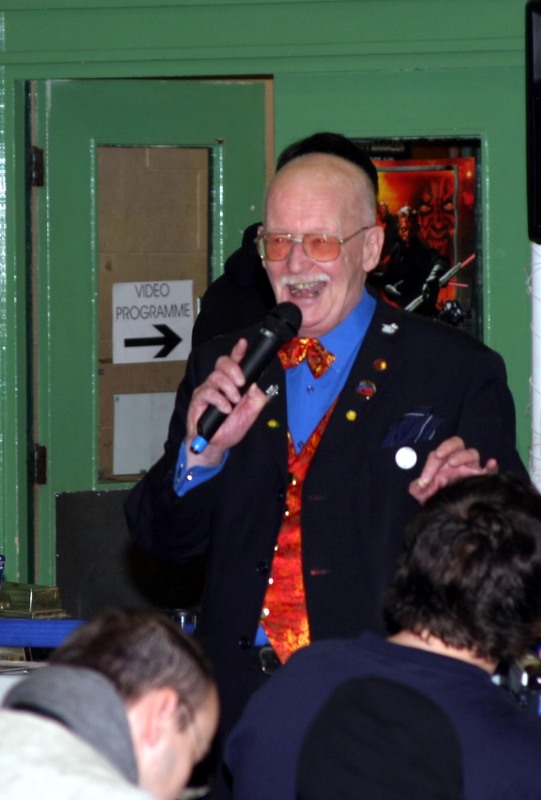 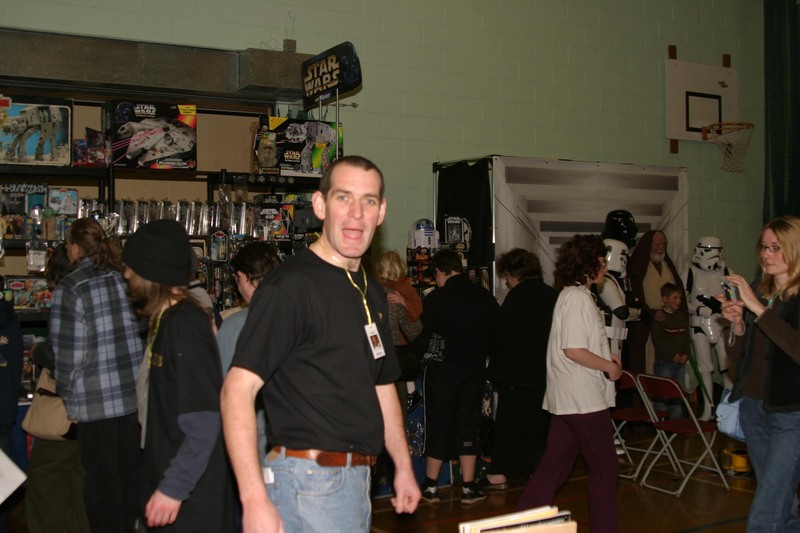 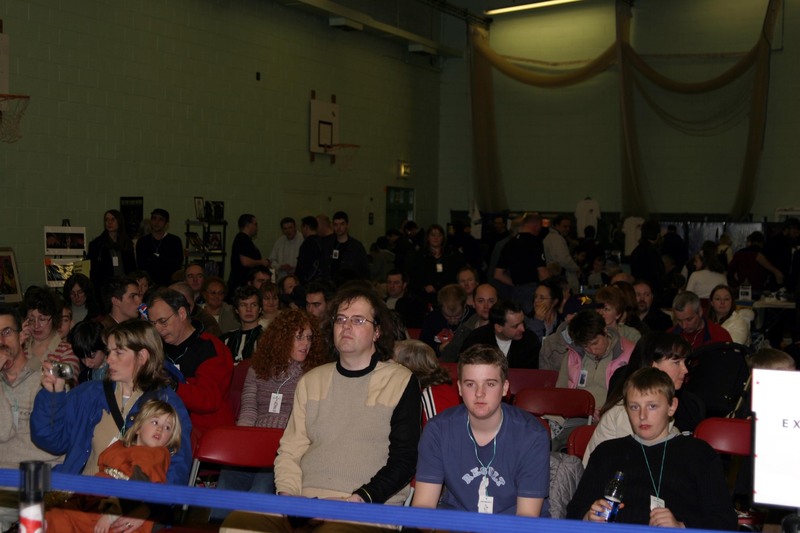 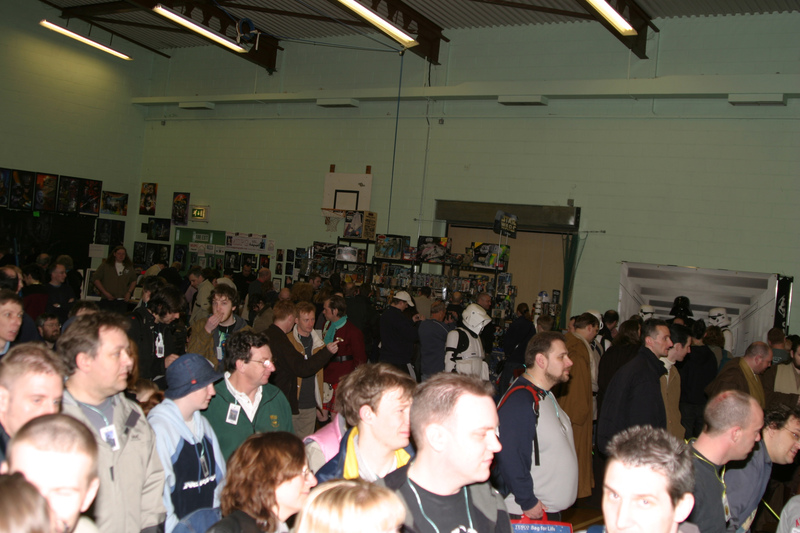 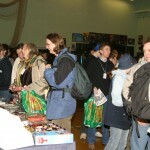 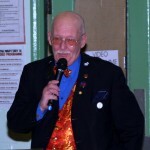 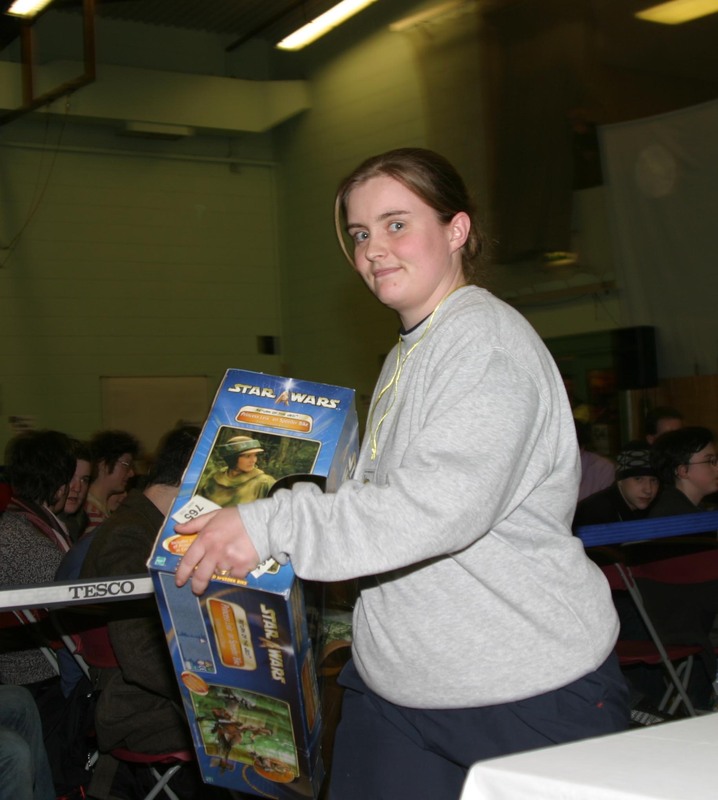 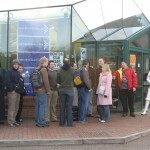 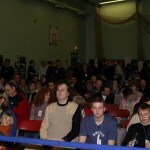 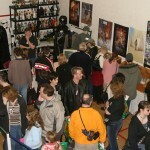 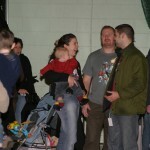 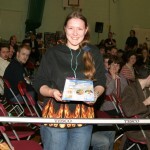 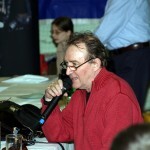 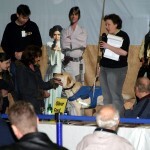 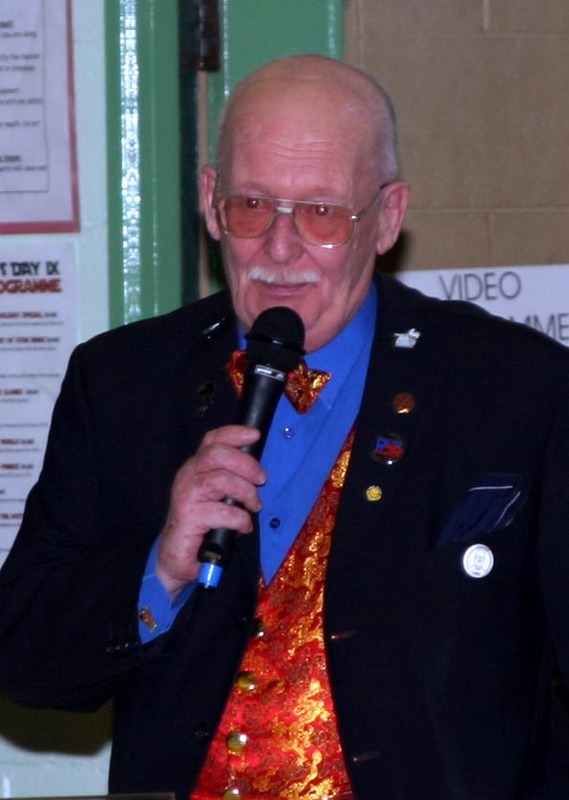 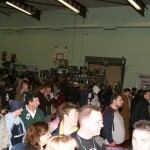 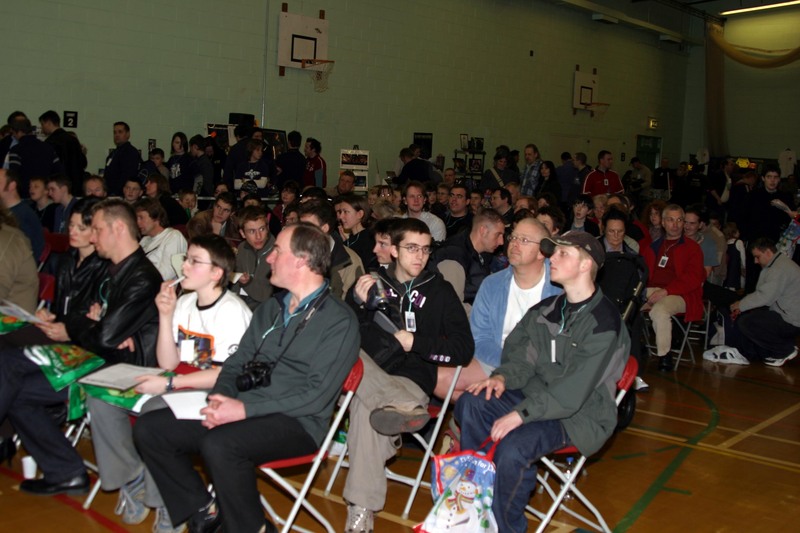 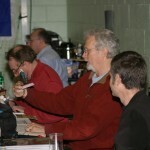 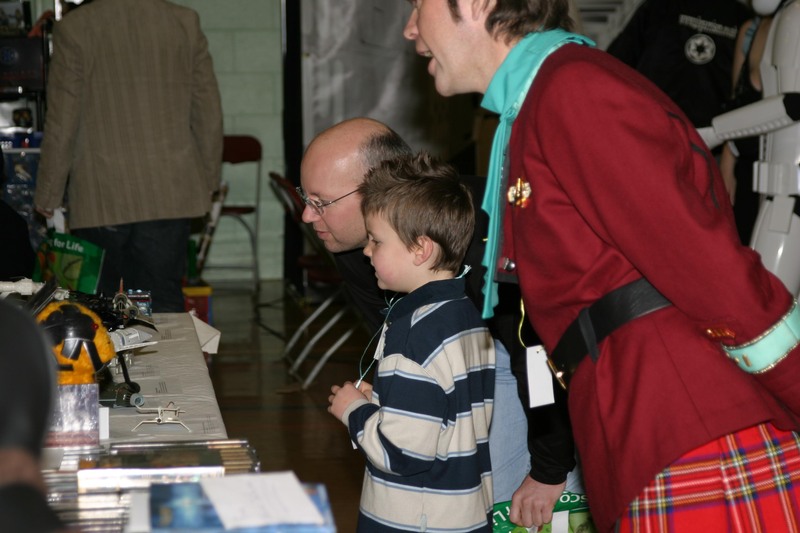 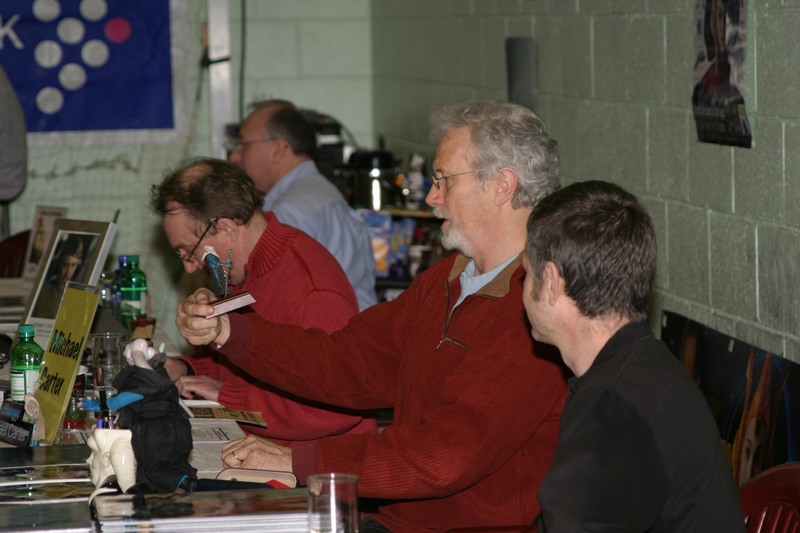 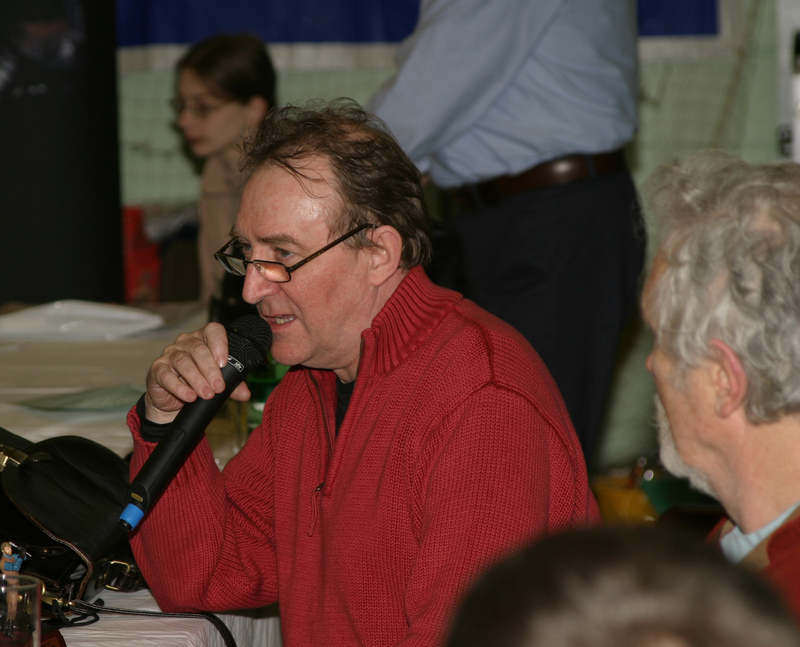 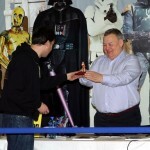 Whilst some attendees then queued for autographs, others looked around the various stands and competitions in the main hall, including the famous Exe-Wing Tombola, the Grand Raffle, and the displays organised by Vaughan Herriott, the Armadacon gang and the Star Trek guys. 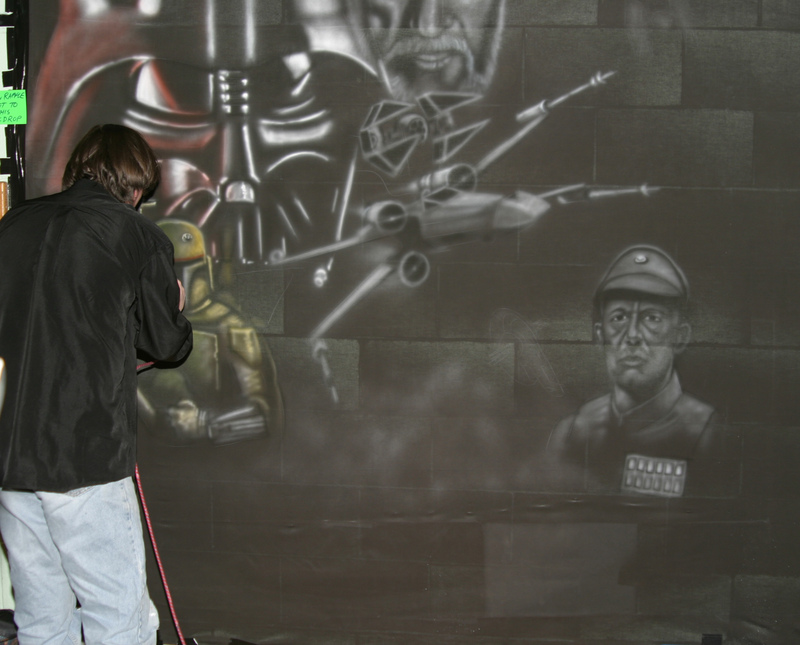 Special attention was focussed on Steve and Jennifer from Airworks Art, who were once again creating an airbrushed masterpiece on an enormous canvas in the corner of the room, to be raffled off to one lucky punter at the end of the day. 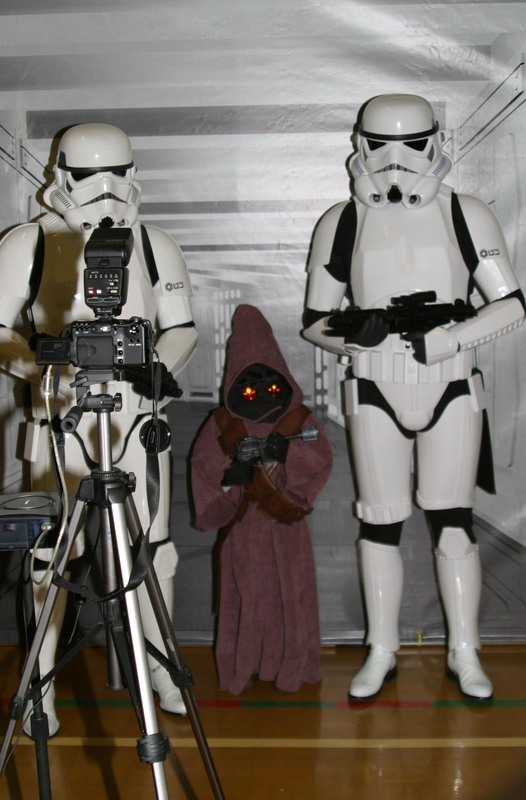 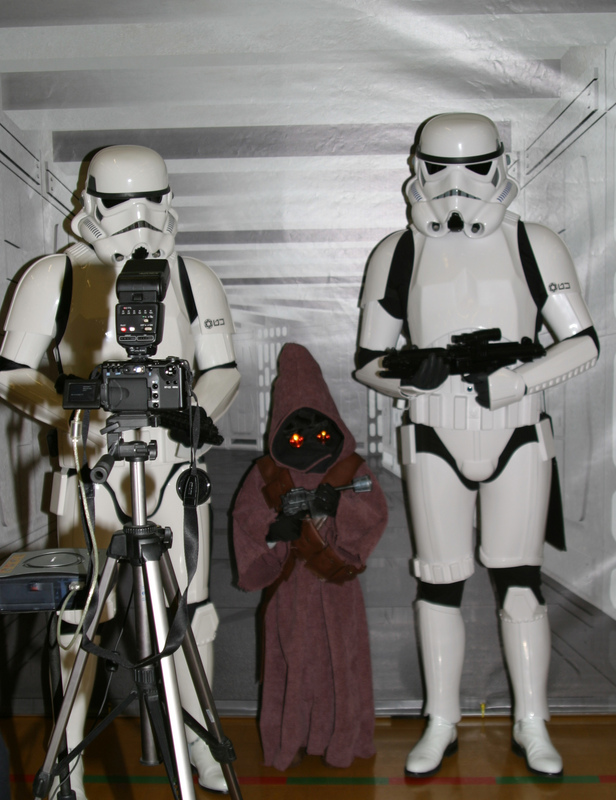 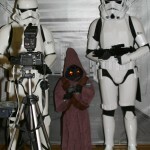 The UK Garrison photo stand was also justifiably popular, offering people the chance to be photographed in the corridors of the Death Star with some of the Empire’s finest, and even Darth Vader himself. 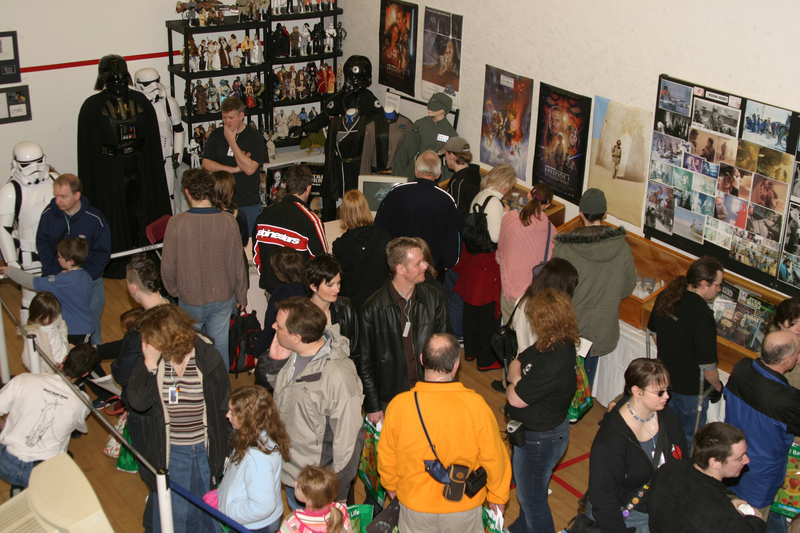 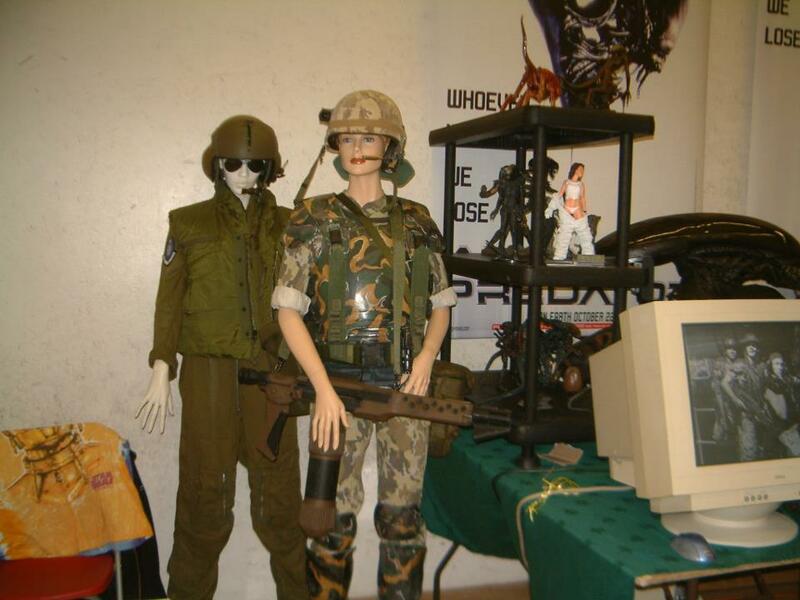 Down in the display room there were some fascinating arrays of Star Wars prop replicas and even some genuine movie props to be seen, as well as a galaxy of toys and other collectibles dating from the 1970s to the present day. 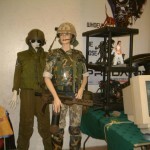 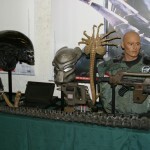 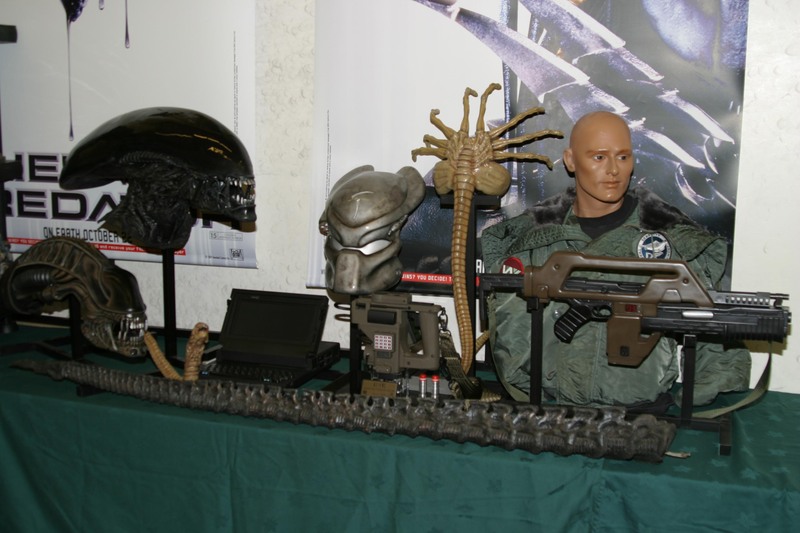 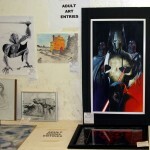 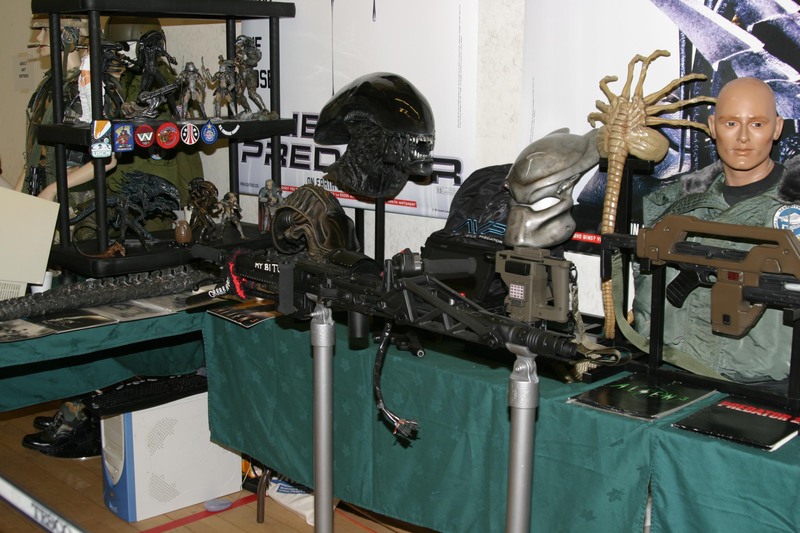 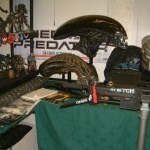 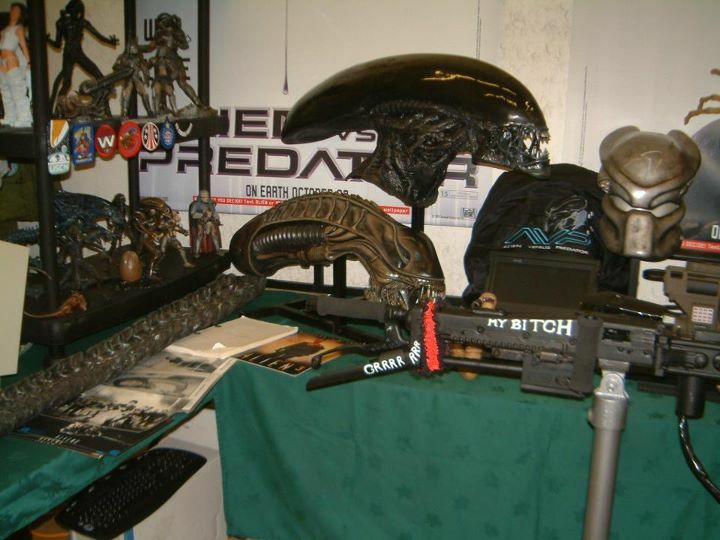 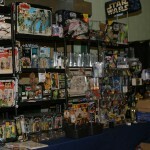 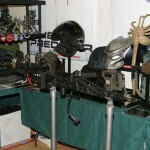 A picture gallery showed some rarely seen images from scenes that were filmed, but deleted from the movies, and a further display showed some preview images from the new movie, ‘Revenge of the Sith.’ Another eye-catching feature was a display of prop replicas, costumes and miniatures from the Aliens and Predator movie sagas, brought along by collector Springer69. 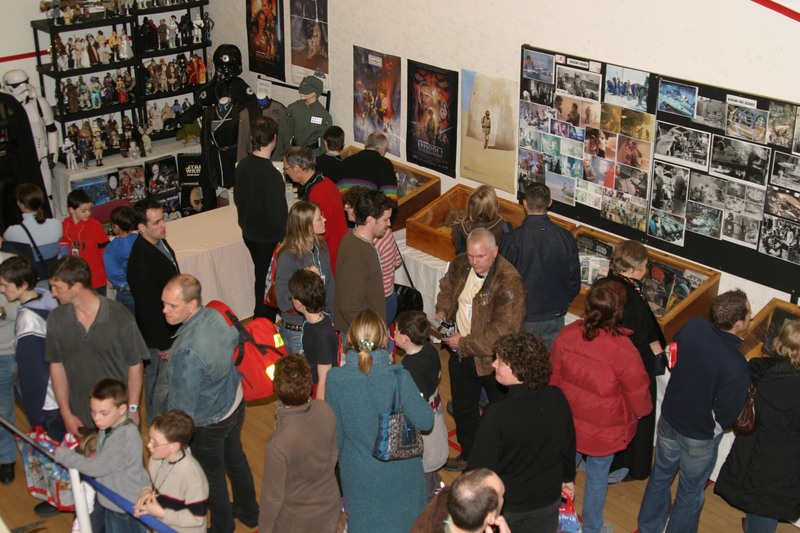 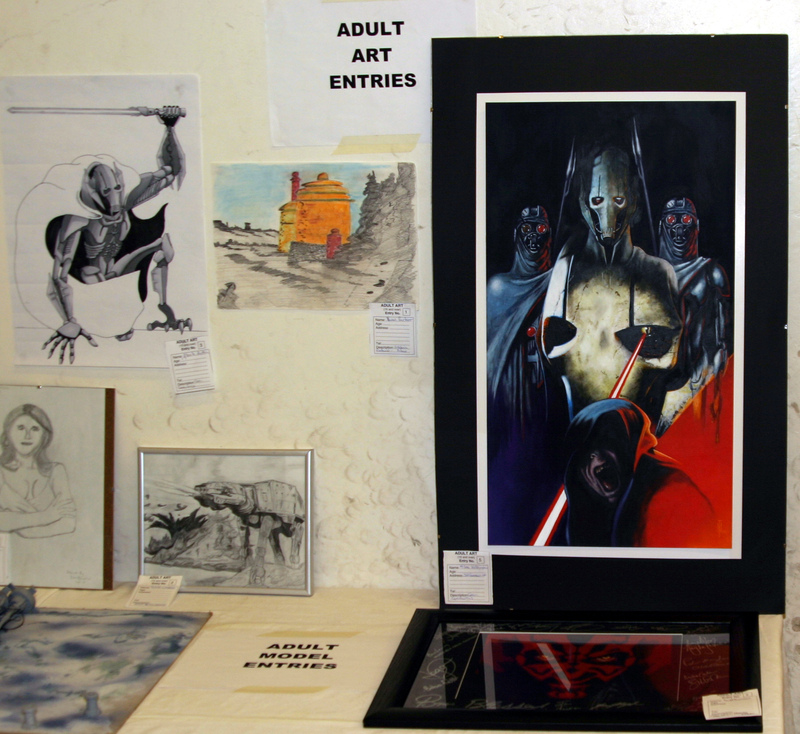 Attendees could also not fail to be impressed by the high standard of entries in the Art and Model competitions, displayed ready for judging by the special guests. 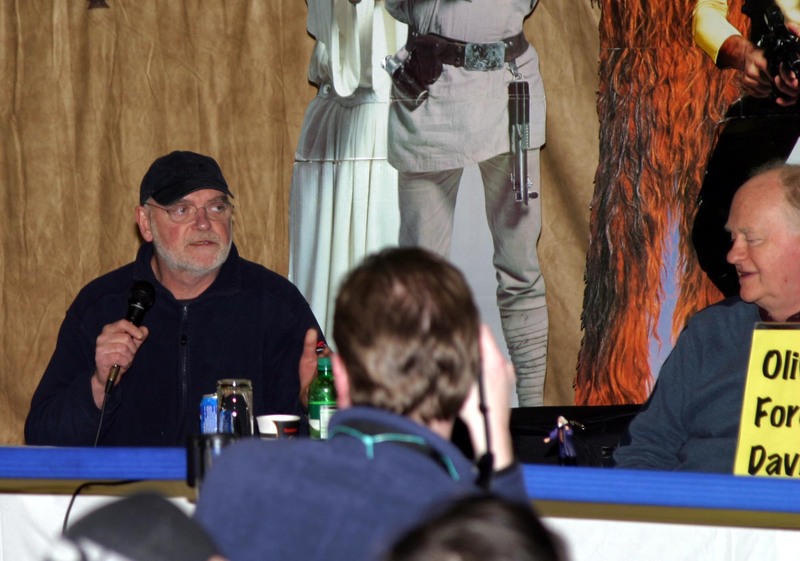 In the video room, attendees were treated to a visual feast of hard to find documentaries, behind the scenes films, cartoons, and more, all drawn from the full range of Star Wars movies past and present. 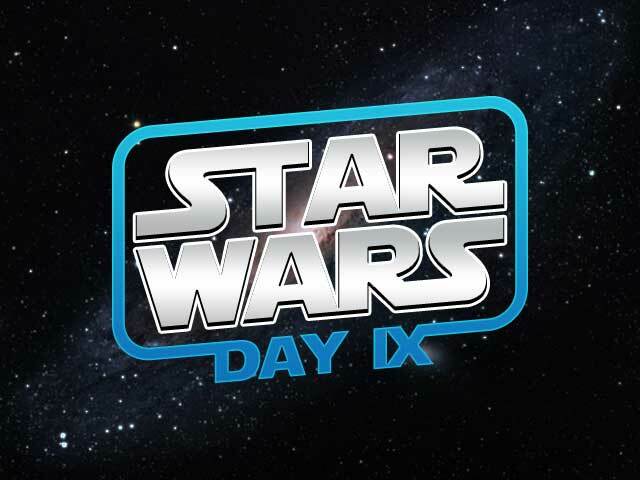 Special interest was shown in the latest trailer for the new movie ‘Revenge of the Sith’, released to public view only days before. 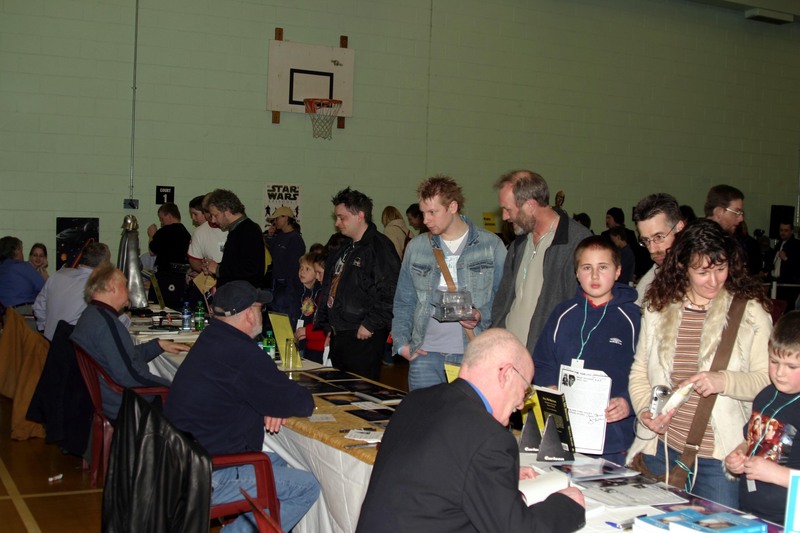 Back in the main hall the autograph queue was continuing, and other attendees took time out to try their hand at the Exe-Wing Quiz, a true test of knowledge not only of the Star Wars movies but other science fiction besides. 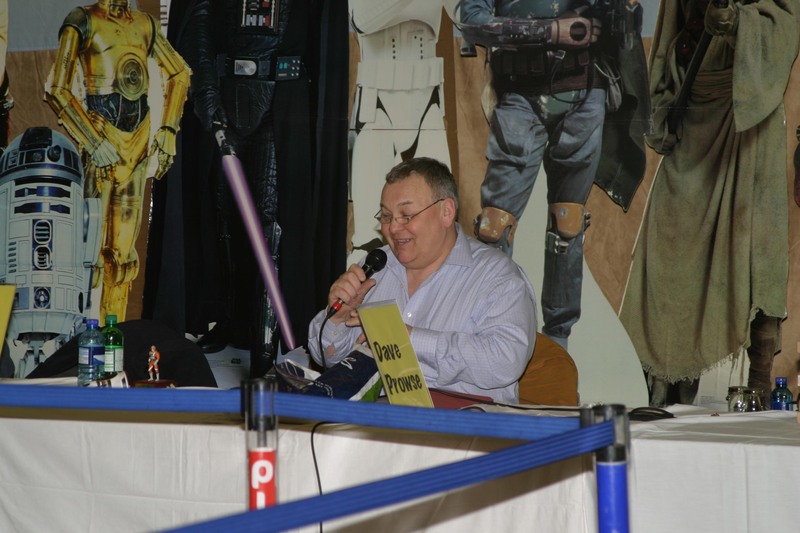 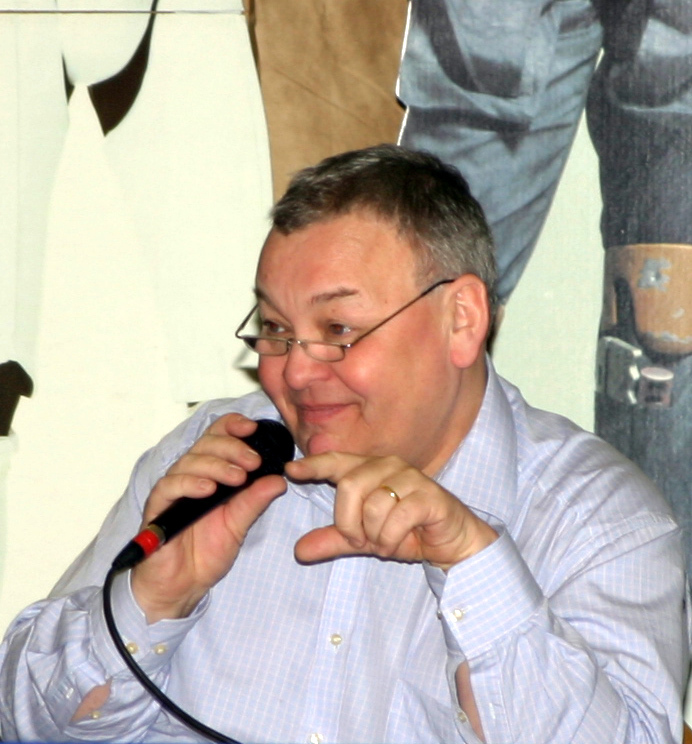 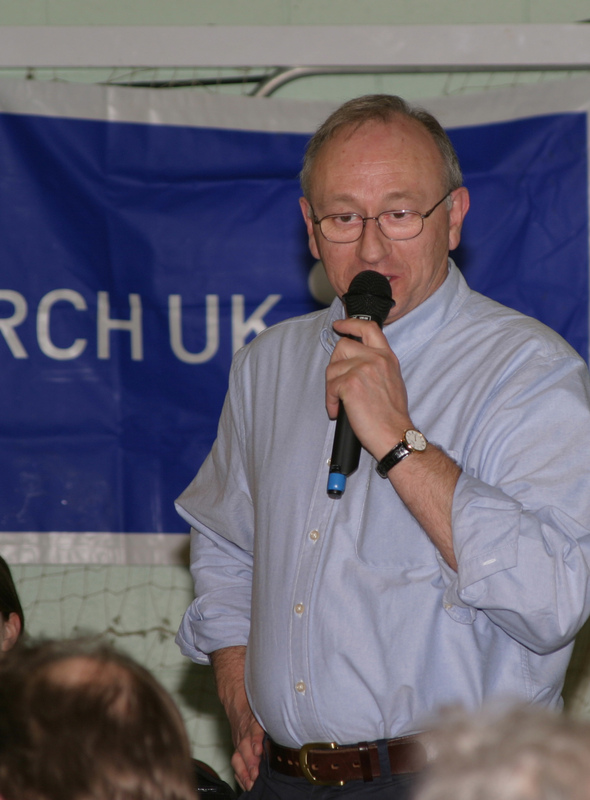 The Quiz was however just the curtain raiser for the next event on the main stage, the ceremonial weighing of Exe-Wing Committee member Bruce Smith, who had been on a sponsored weight loss for months prior to the event, putting himself through torture on an alcohol free diet! 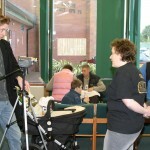 But his hard work all paid off as he more than made his target weight, resulting in another big contribution for the charity. 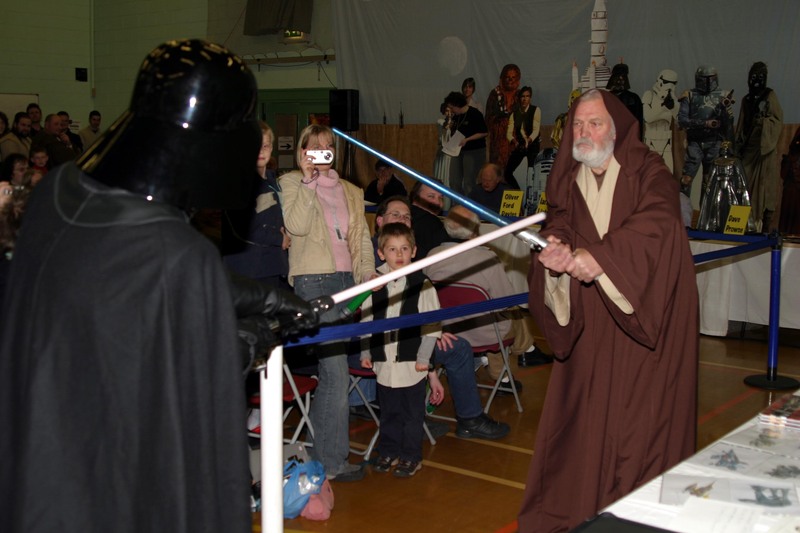 With that completed it was then swiftly on with the Fancy Dress competitions, and an excellent standard of entries in both the adult and junior categories. 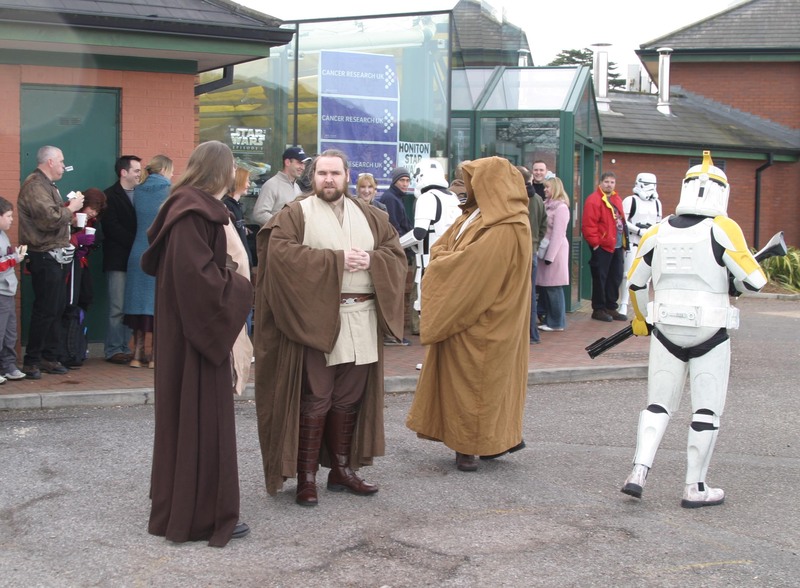 The guest actors couldn’t fail to be impressed with the parade of Jedi, Sith, aliens, bounty hunters, and other Star Wars characters, all keen to catch their eye. 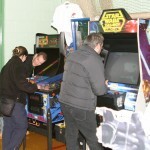 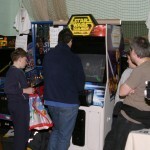 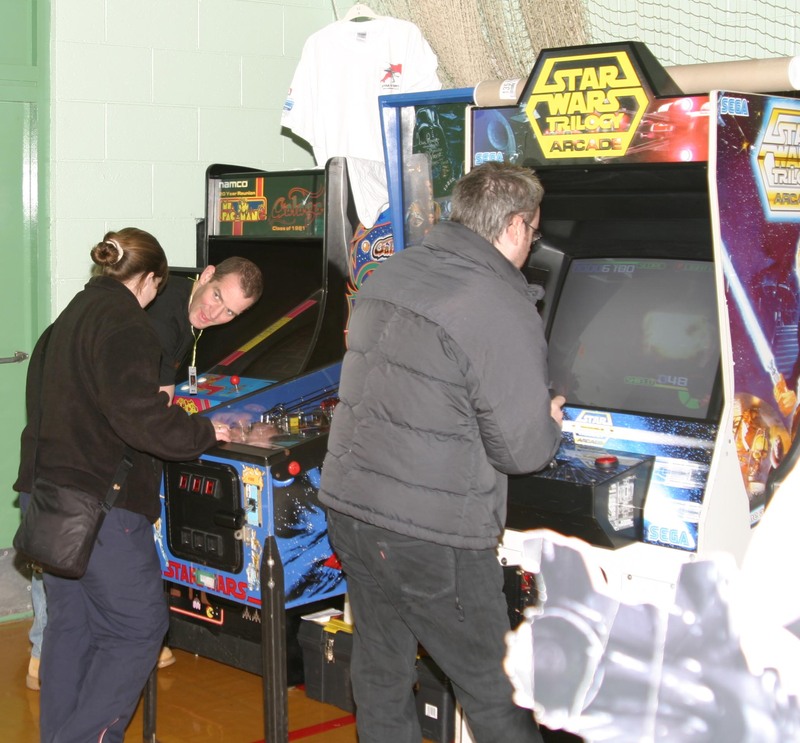 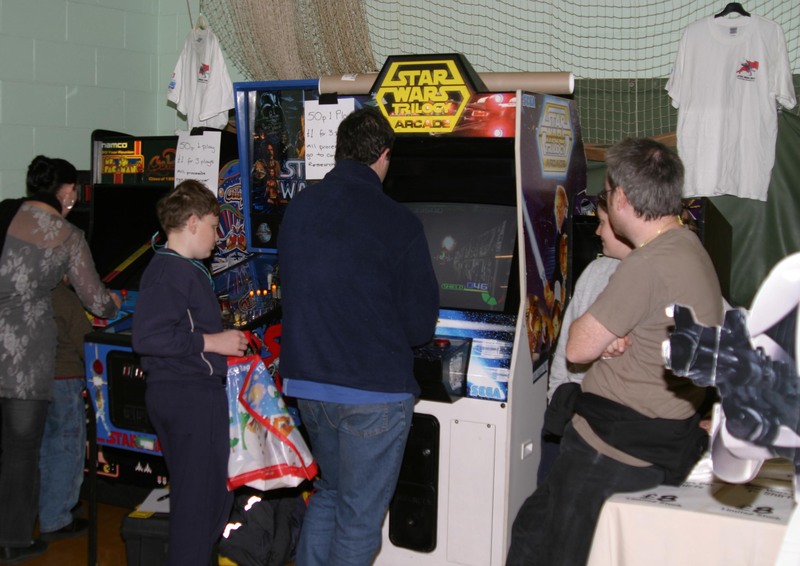 In the corner of the hall the vintage Star Wars arcade machines were attracting a steady stream of people, looking to have a go on the machines they had enjoyed in years gone by, or just coming by to see what all the sound and lights were about! 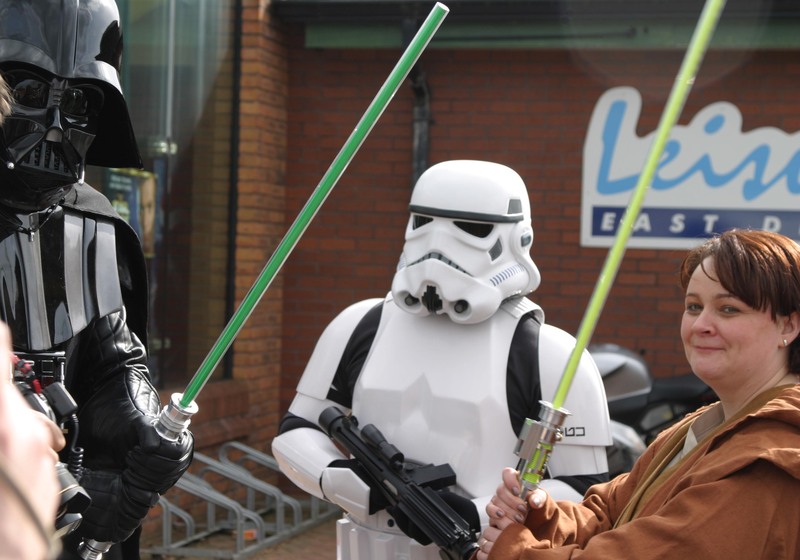 Even the Stormtroopers and Jedi of the UK Garrison were tempted to have a go, taking time out from their busy day entertaining (and sometimes terrifying!) 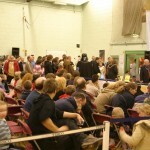 the general public. 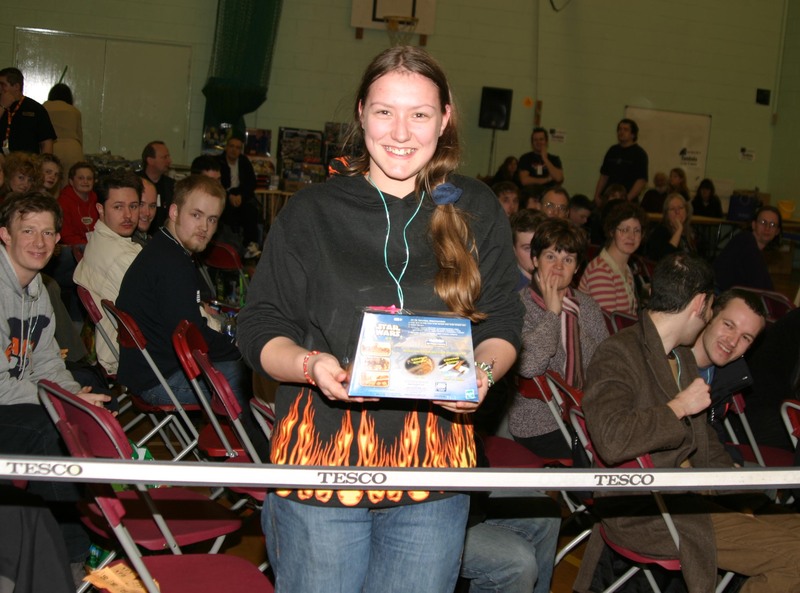 With the event drawing to a close, it was now time for the various competition results to be announced, and for the lucky winners to be awarded their prizes. 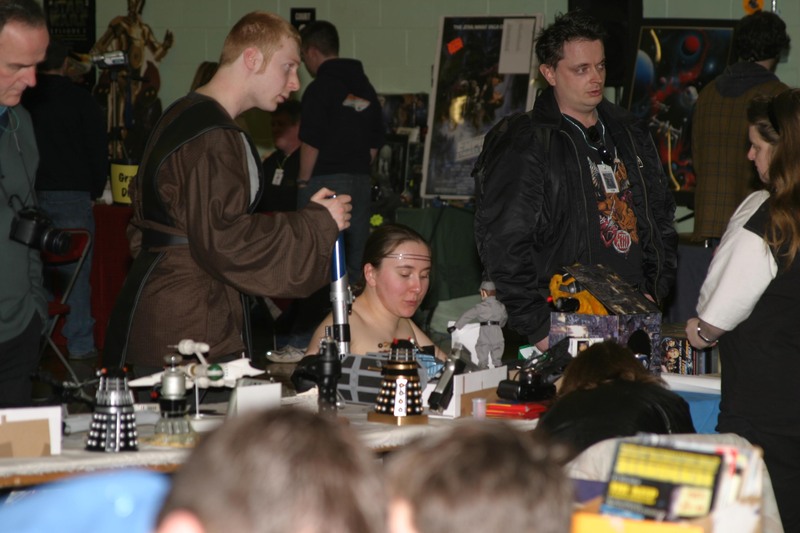 The closing ceremony was held, and the hordes of Star Wars fans left the event, most with one or more new toys or collectibles, and all with some excellent memories of another great Star Wars Day. 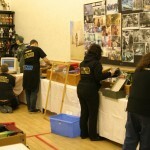 For the organisers, it was back to more hard work in packing up the event, and counting the money raised for the charity. 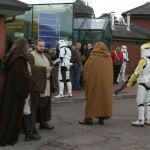 With all the funds banked and accounted for, the Exe-Wing Fundraisers are very proud to announce that their efforts this year, including Star Wars Day IX, have raised an enormous £8,500 for charity, and it was with great pleasure that a cheque in this amount was recently handed over to Cancer Research UK. 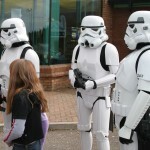 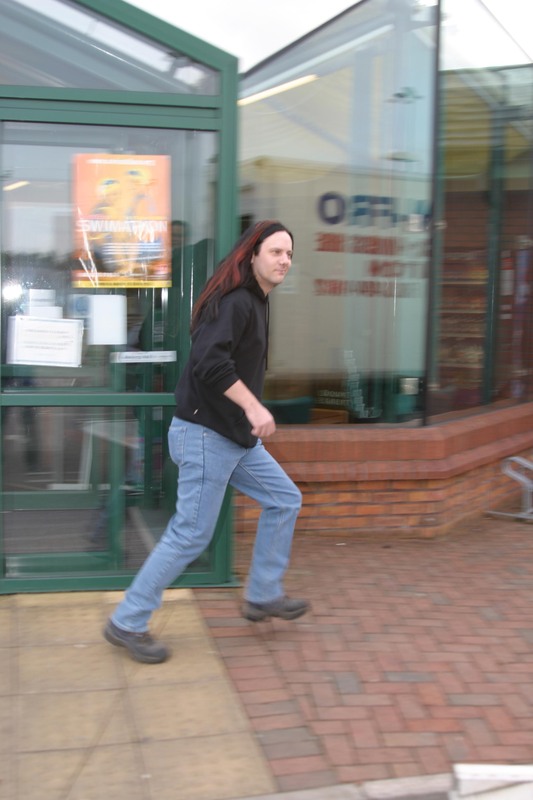 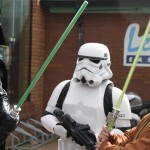 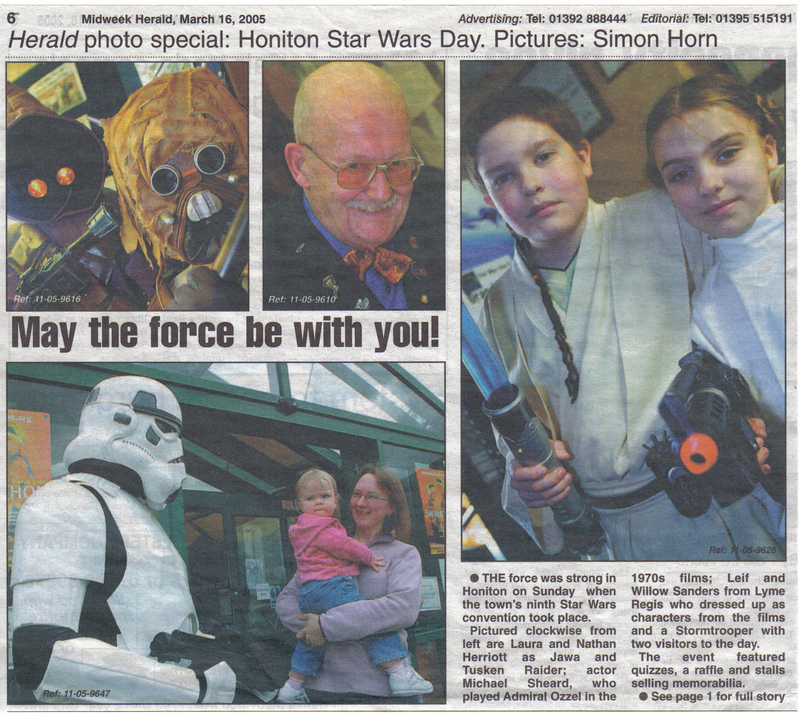 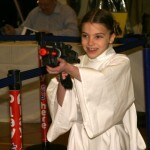 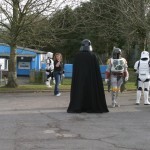 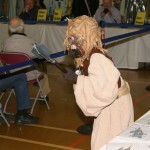 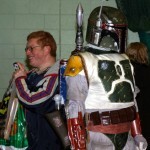 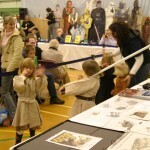 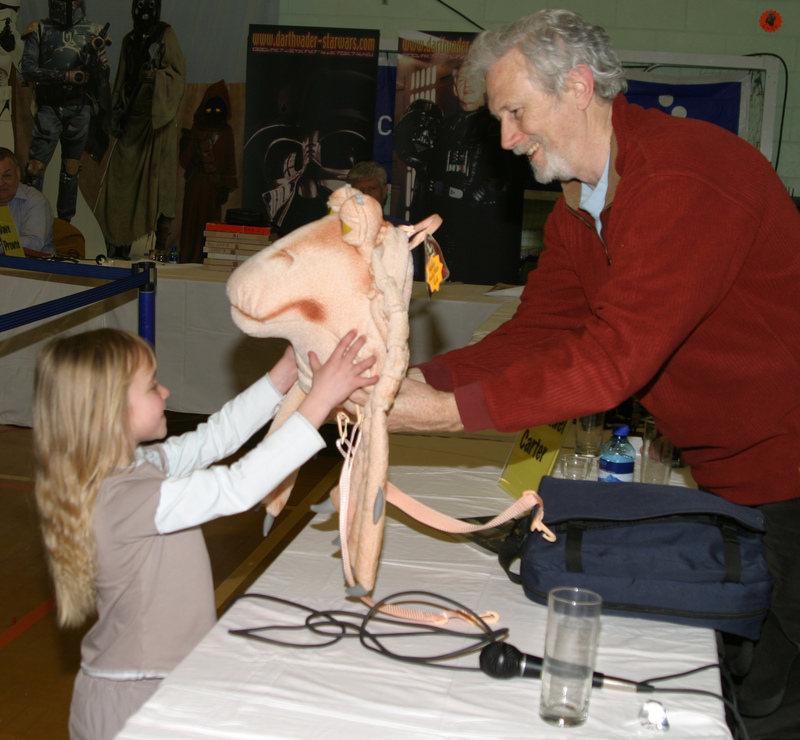 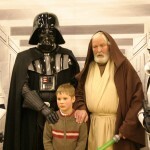 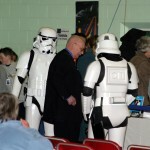 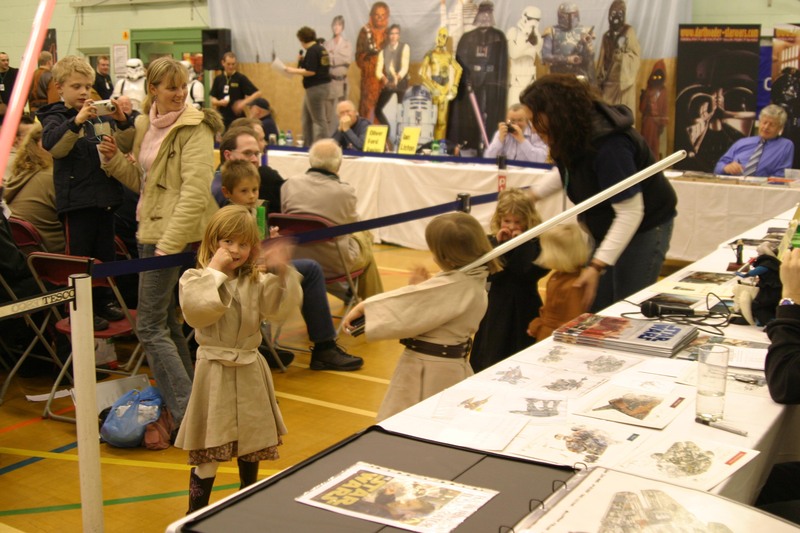 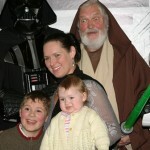 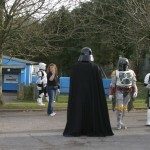 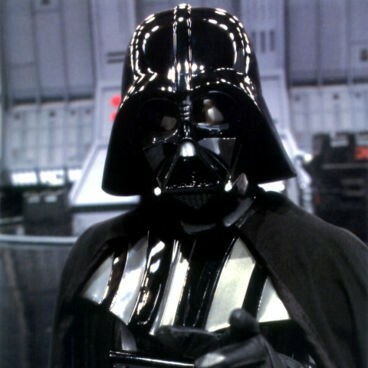 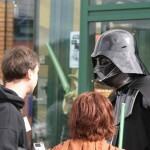 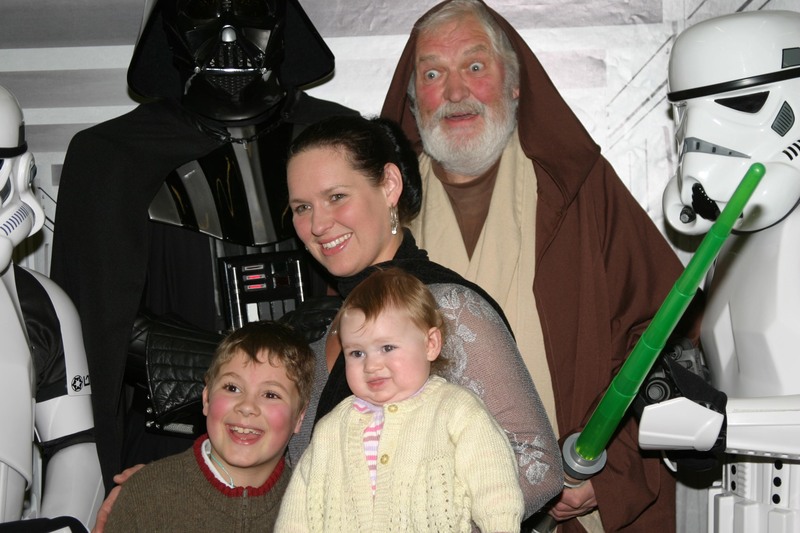 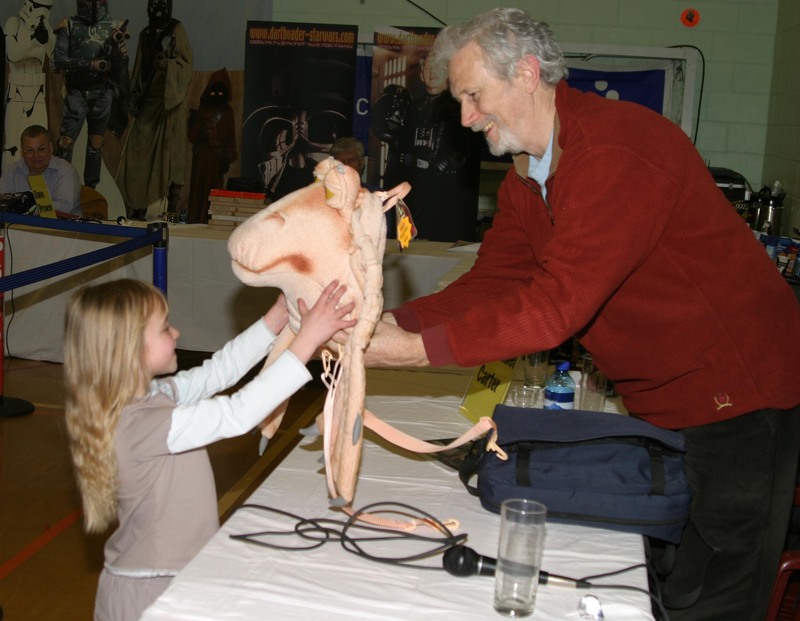 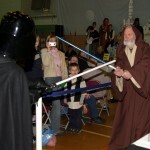 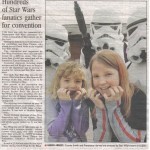 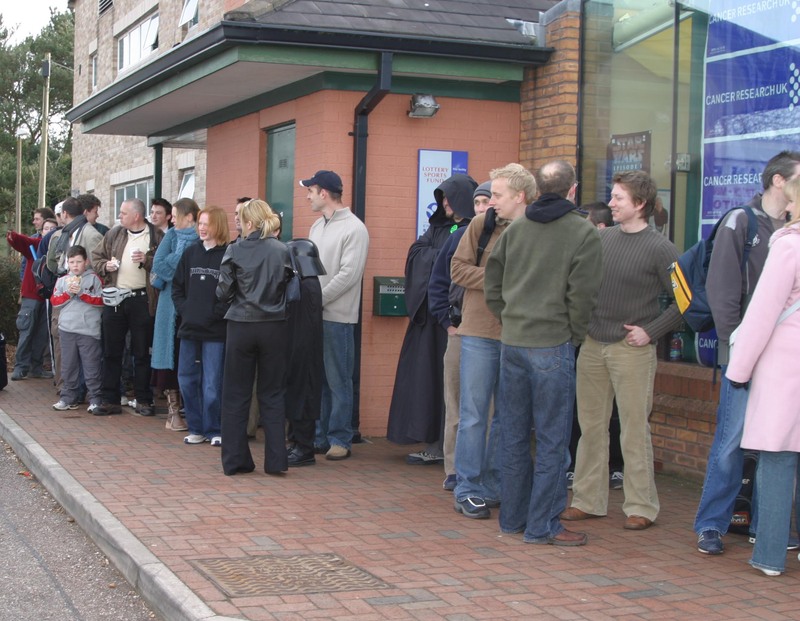 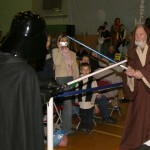 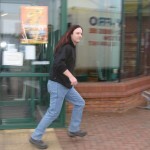 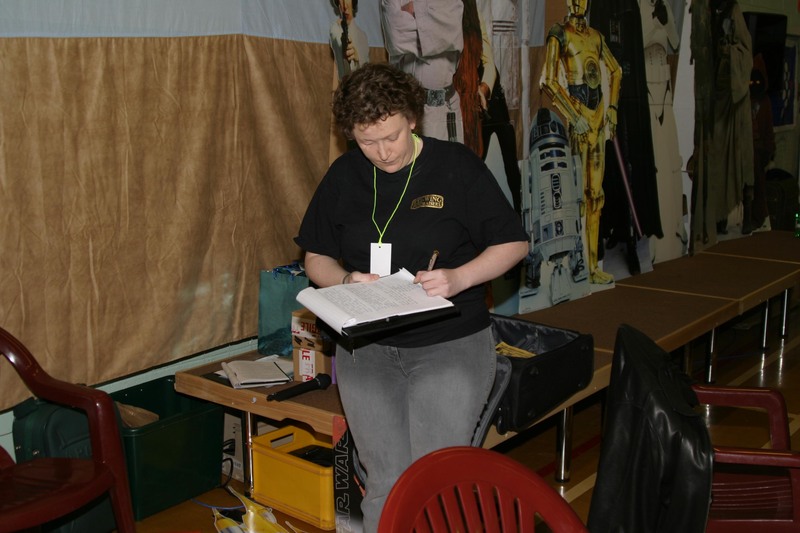 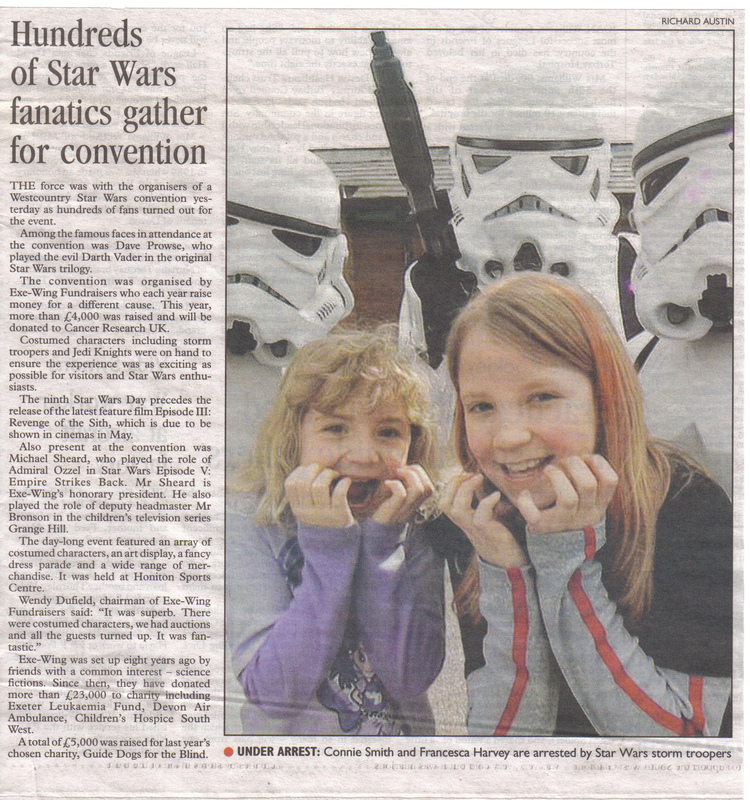 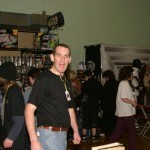 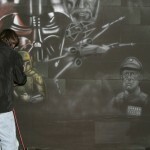 And so on to preparation for Star Wars Day X, the Tenth Anniversary of Star Wars Day in Honiton. 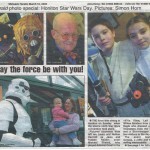 ‘This will be a day long remembered’ . 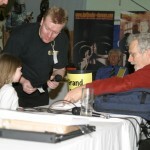 watch this space for more details later in the year!